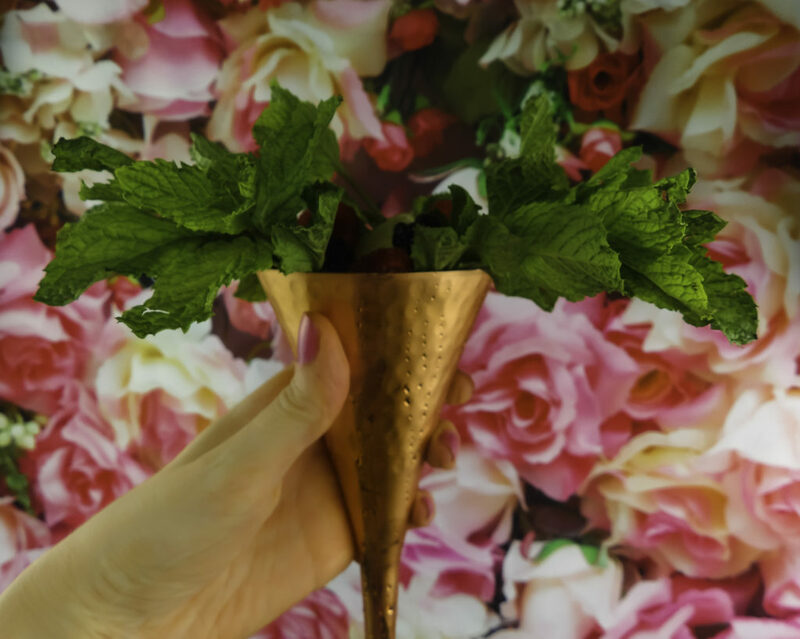 Mint Juleps are a long-standing Kentucky Derby favorite, and for good reason. 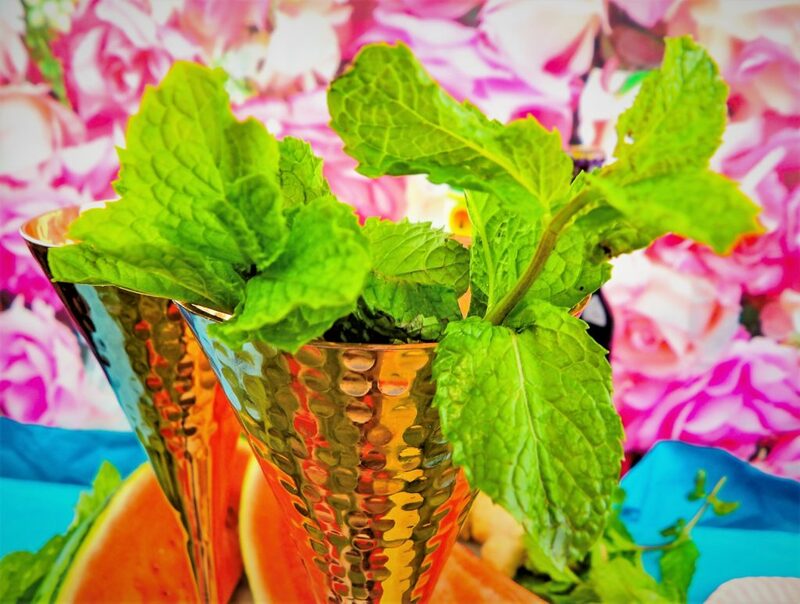 Here at Style Chicks, we are always game for an excuse like a good old-fashioned Kentucky Derby party to get dressed up and have a Mint Julep just in time to kick off our summer. 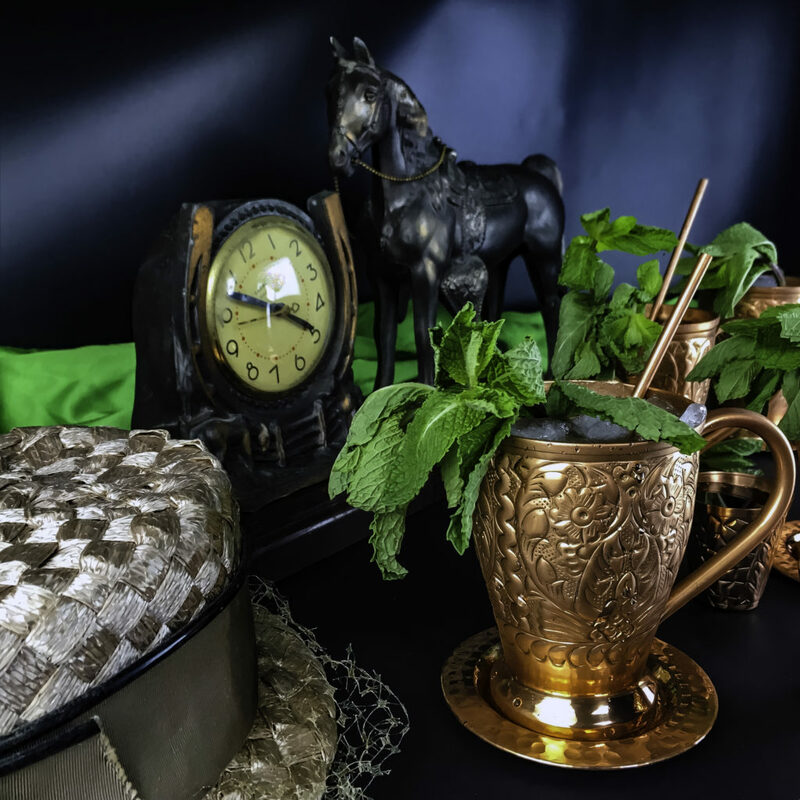 For a twist on the traditional silver julep cups, the Moscow Mule adds a warm look to the overall decor, has a handle that makes one’s drink easier to manage, and keeps your drink ice cold and the ice intact longer. 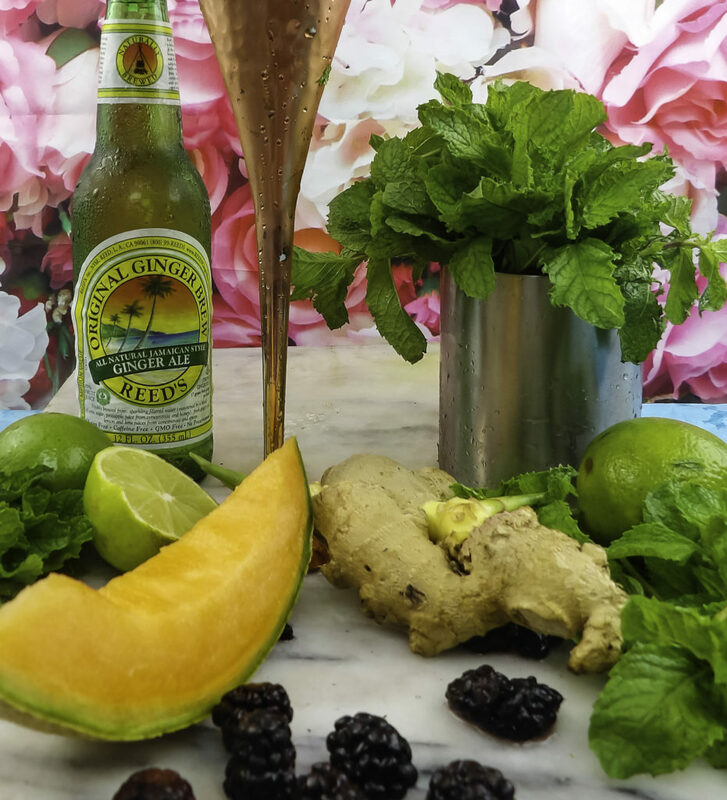 Shaved and soft ice can melt quickly, making a copper Moscow Mule an ideal choice for serving this drink on a warm day. 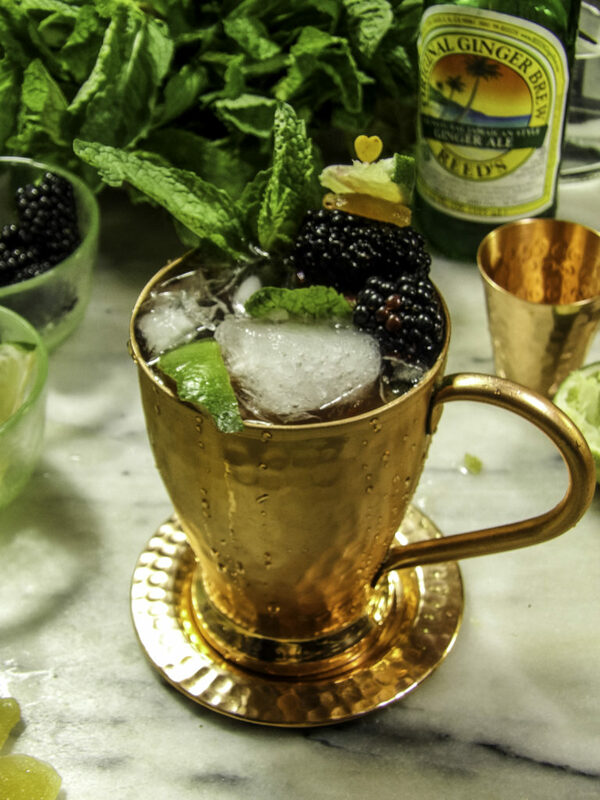 So for this Kentucky Derby Mint Julep recipe, we are using our Kamojo Copper Moscow Mules. They not only look good but actually enhance the taste of the drink. 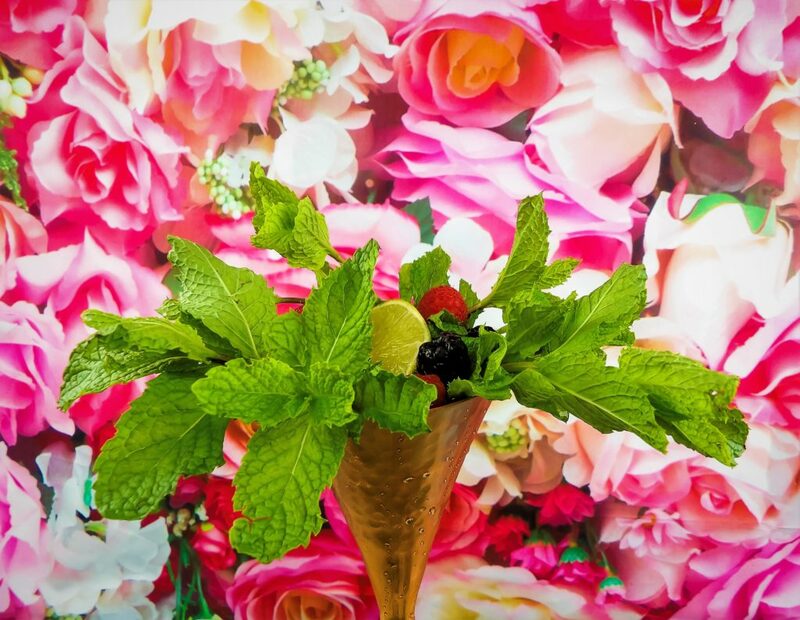 Kentucky Derby and Mint Juleps go hand in hand. 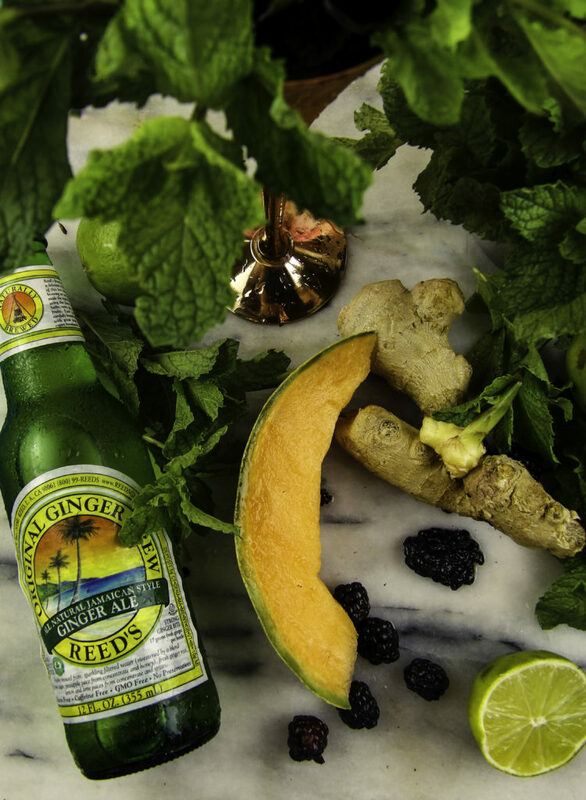 Have you tried one in a Moscow Mule? 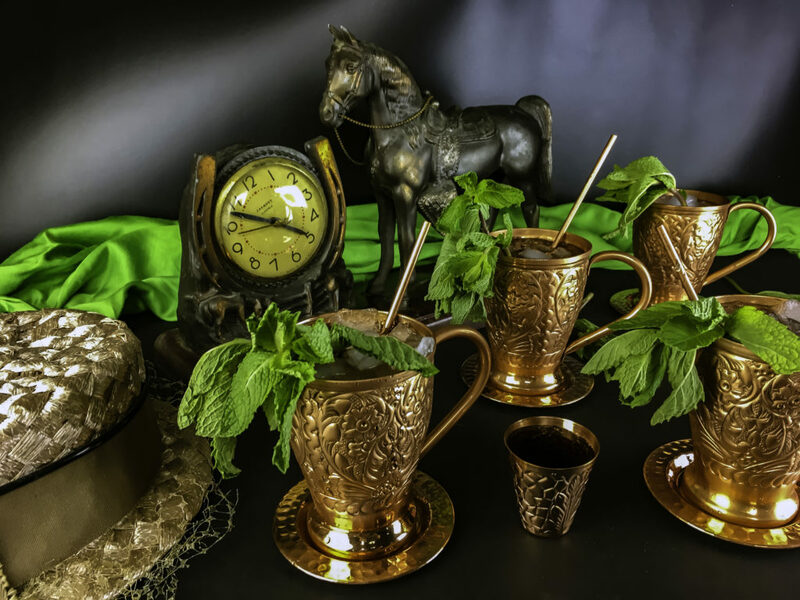 Kamojo Copper Moscow Mules not only look good but actually enhance the taste of the drink by interacting with the Bourbon to bring out the flavor, as well as heightening the minty kick of the mint. And making this icy drink even colder really adds something, especially with the unseasonably warm weather we have been having lately. 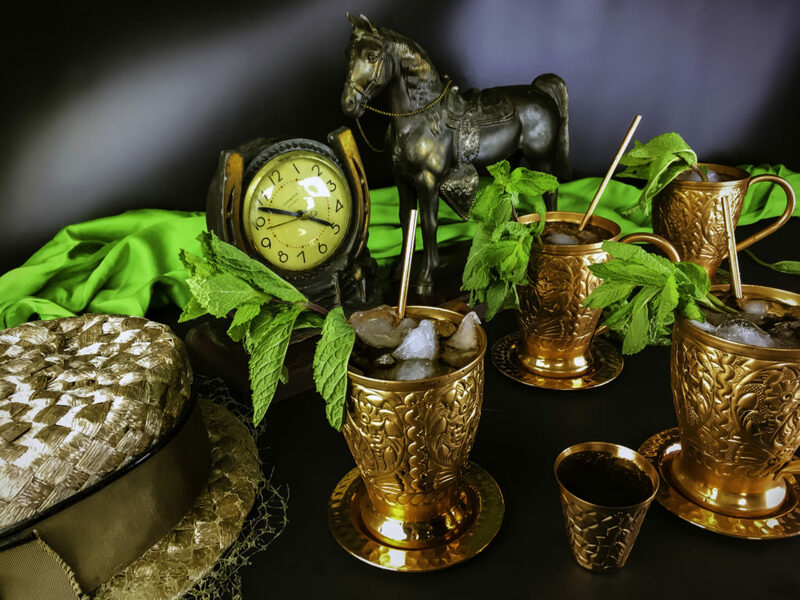 I personally like serving Mint Juleps in Moscow Mules not only because it enhances flavor and keeps the drink very cold and delays the fast melt of the ice, but because they have a special coating that prevents them from tarnishing. 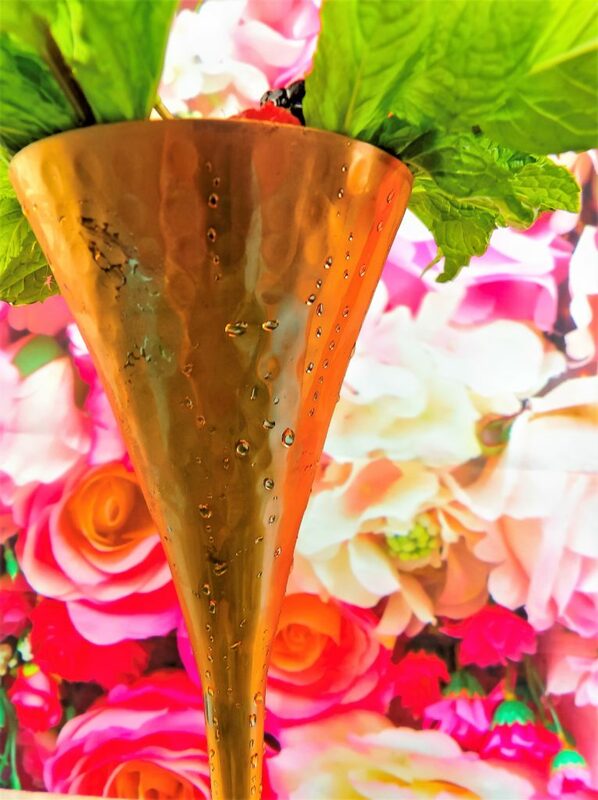 No tarnish means no pre-party polishing like we would have to do for our traditional Mint Julep cups. More time for food prep and having fun with our guests. 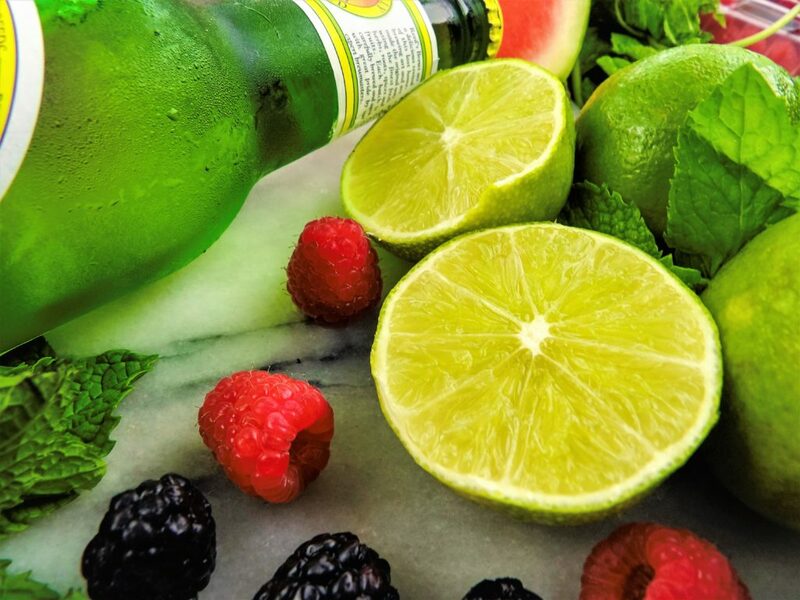 At 16 ounces, there is plenty of room for lots of ice and garnish, and guests can enjoy a long, leisurely beverage for the festivities. So on to the Mint Julep recipe itself. This recipe can be done two ways, the prepared in advance simple syrup way, or the last minute (and less sweet) muddled just before serving way. Mint simple syrup is, well, simple to make but must be done in advance. This drink is quite simple, but the prep begins the night before or earlier in the making of the simple syrup. If you don’t have time to make a simple syrup, use our alternate muddled version below. 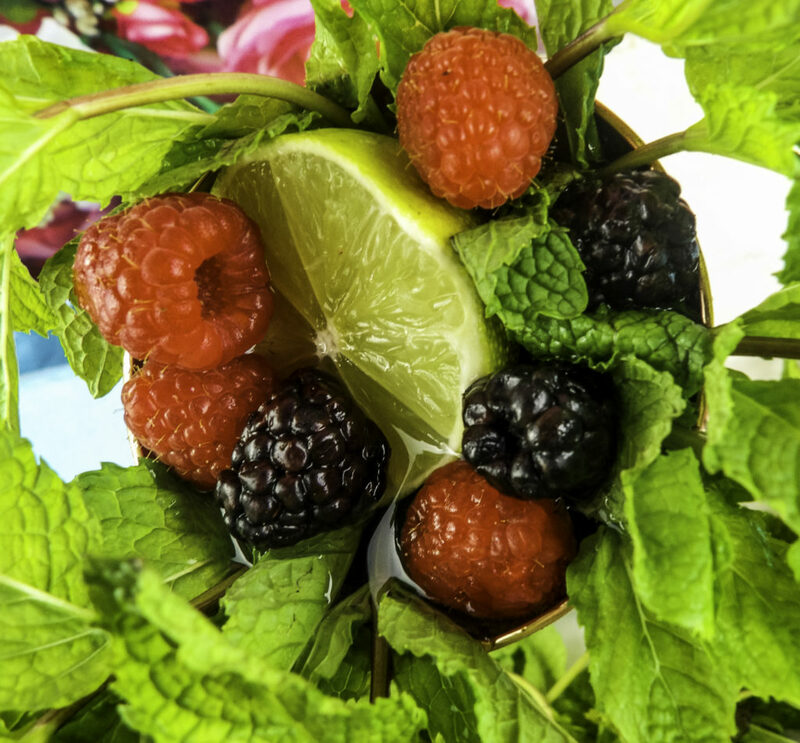 Either way, your first step is to separate out any bruised or less attractive mint from your garnish quality mint. If preparing a simple syrup, dice the non-garnish quality mint pieces for inclusion. 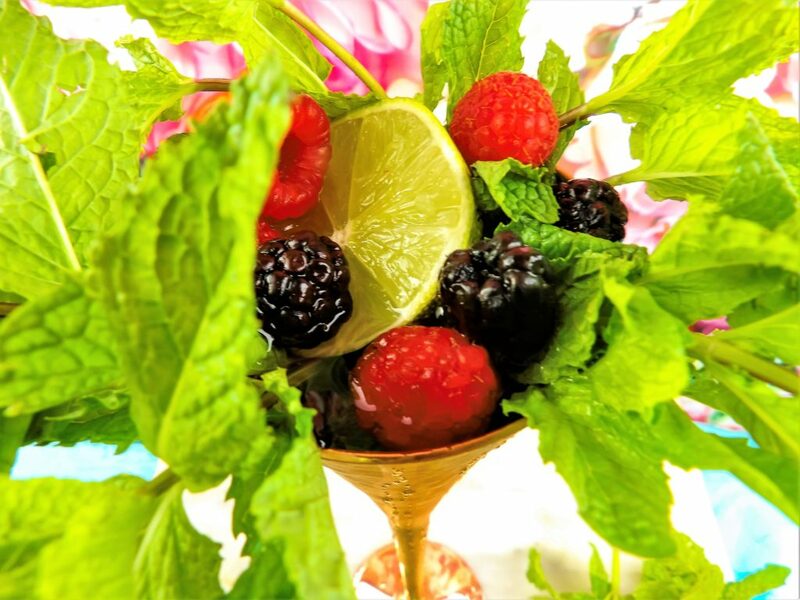 If you are muddling, simply tear the leaves into smaller muddle-friendly pieces. Make a simple syrup by boiling the sugar and water together for five minutes. Cool and place in a covered container and refrigerate overnight. Pour mix through a strainer to remove the peppermint leaves. 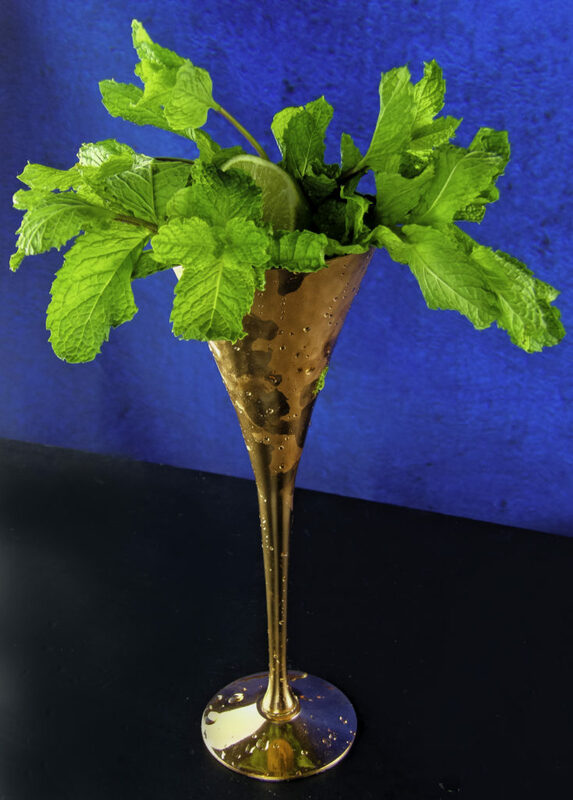 QUICK LAST MINUTE SUBSTITUTION FOR MINT SIMPLE SYRUP: Alternatively, for a less sweet or last-minute variant to simple syrup, substitute a muddled fresh mint, a teaspoon of honey and a tablespoon of bourbon at the bottom of the Moscow Mule. The honey adds a smooth sweetness, alter measurements to taste. I like to muddle before any other prep is done to allow the mint to impart maximum flavor to the bourbon and honey, but extra mint can always be added in the middle of the ice if you are short on time. 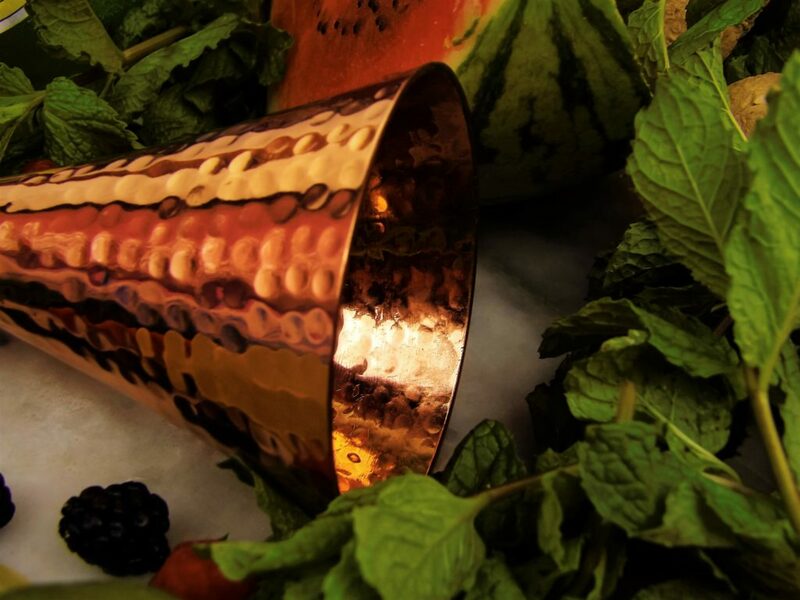 Make one julep at a time and serve immediately. 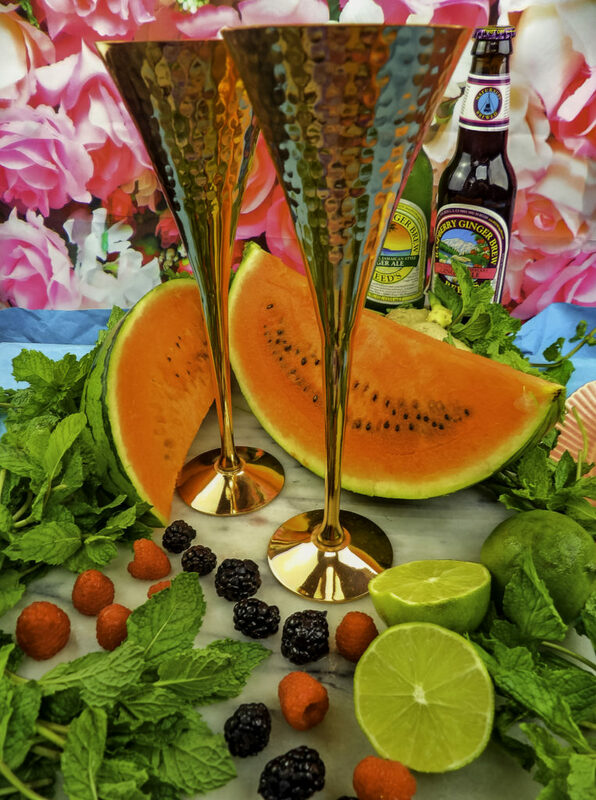 Insert a Kamojo Copper Straw and serve! Nice and frosty cold! 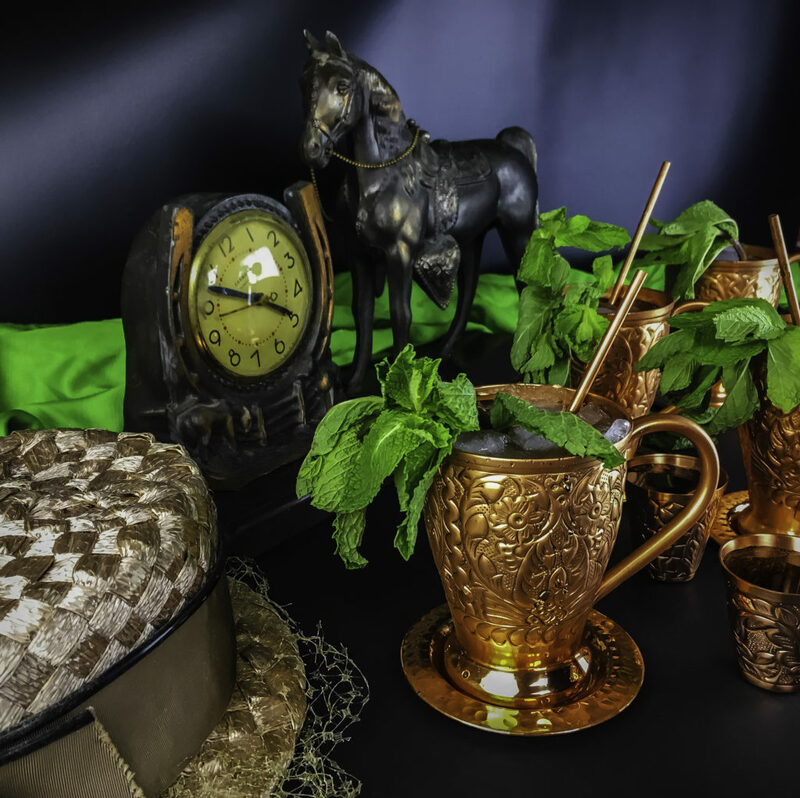 A Mint Julep in a Kamojo Moscow Mule is perfect for Kentucky Derby parties! 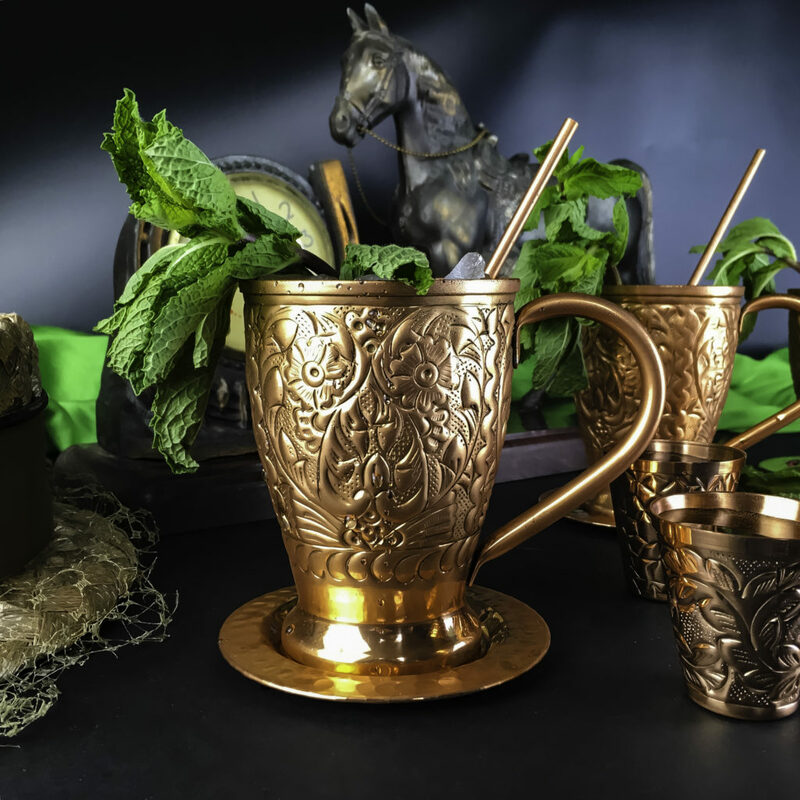 Typically one would have to stir rapidly with a spoon to get the cup to frost, but the pure copper on these Kamojo Moscow Mules get cold instantly. I love how the copper straw makes the drink so nice and frosty with each sip! And they look good, more lady-like. Sip from the bottom for a sweet first sip or from the middle for more bourbon. 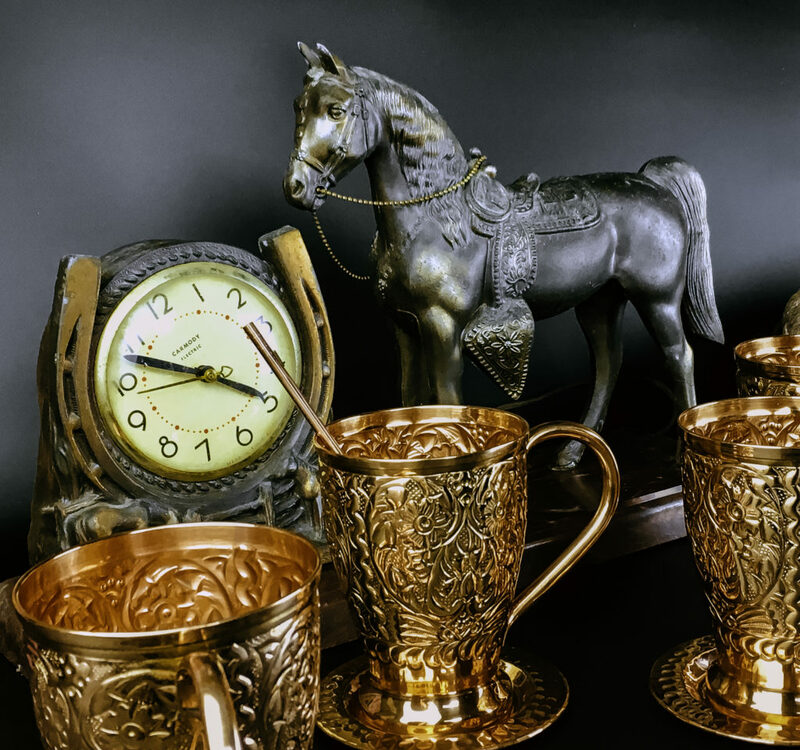 The Kamojo Copper Moscow Mules, coasters, straws and shot glasses are all hand-crafted, artisan pieces. 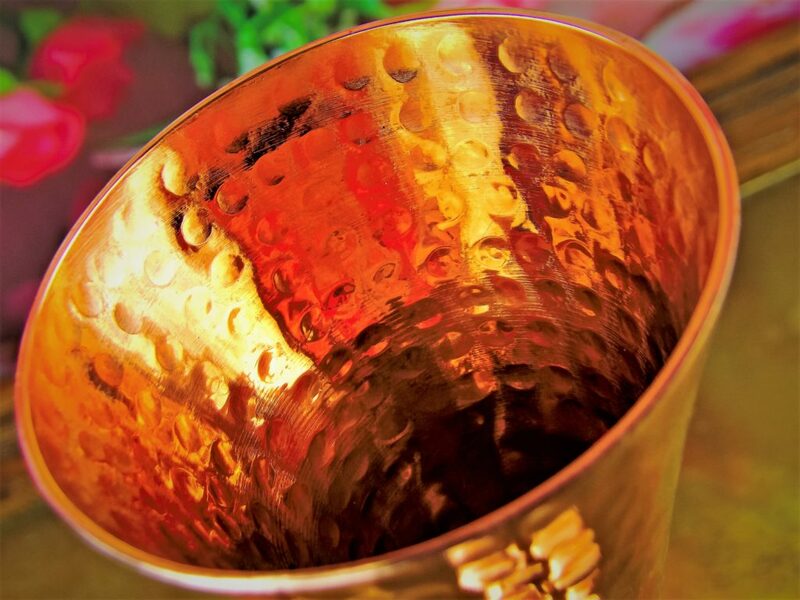 They are pure copper and will not tarnish, so they remain shiny and attractive for years to come. These two-ounce shot glasses can be used to serve shots, such as seen here with bourbon or used as molds for jello shots. I like how each shot glass has a different design so one can keep track of their personal glass. 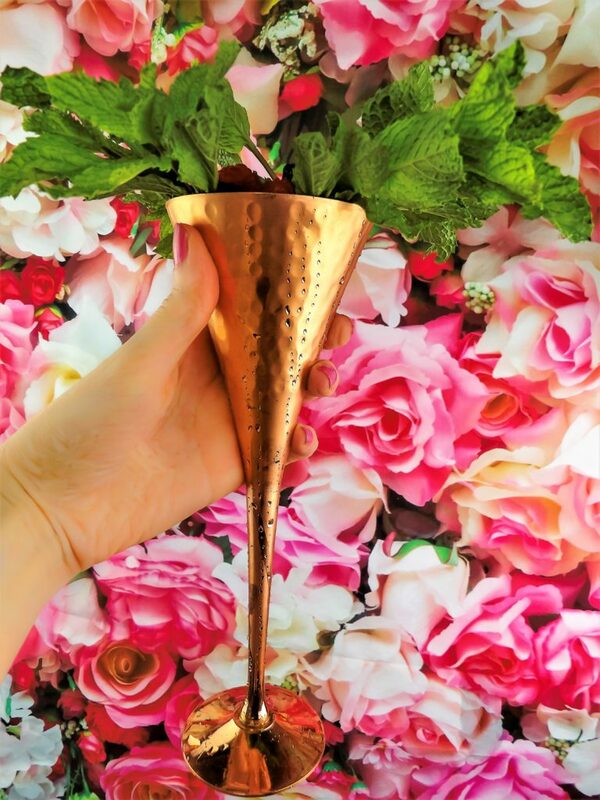 Style Chicks received the Kamojo Moscow Mule Copper Flutes Set in exchange for our unbiased review. However, our experience with the product, the recipe and the opinions expressed in this post are 100% ours. When you think Tequila, what comes to mind? Margaritas? Lime and salt accompanied shots? Tequila has long been considered the liquor that brings the party, but it can be so much more. 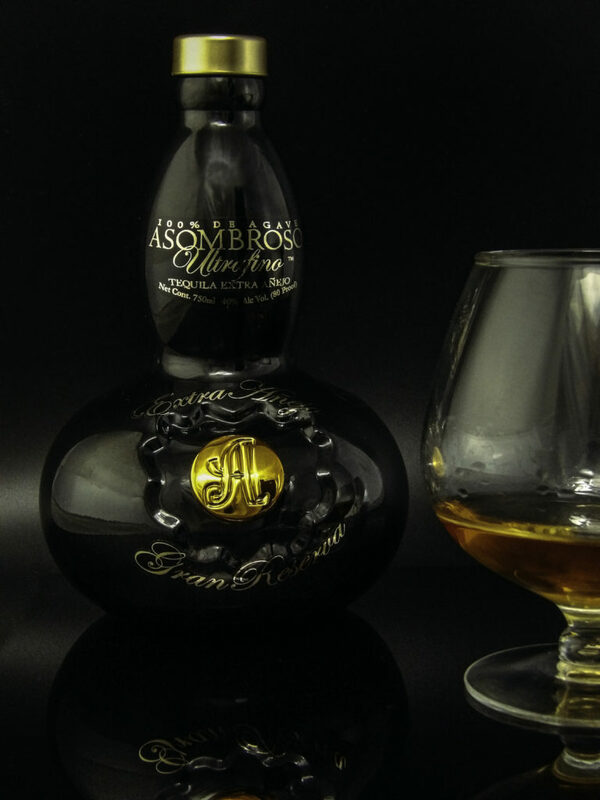 We recently had an opportunity to experience Asombroso Gran Reserva Extra Añejo, a Tequila to be savored and enjoyed. It is a sipping Tequila, aged five years in French Oak Barrels, imparting a flavor, unlike any other Tequila you may have had before. 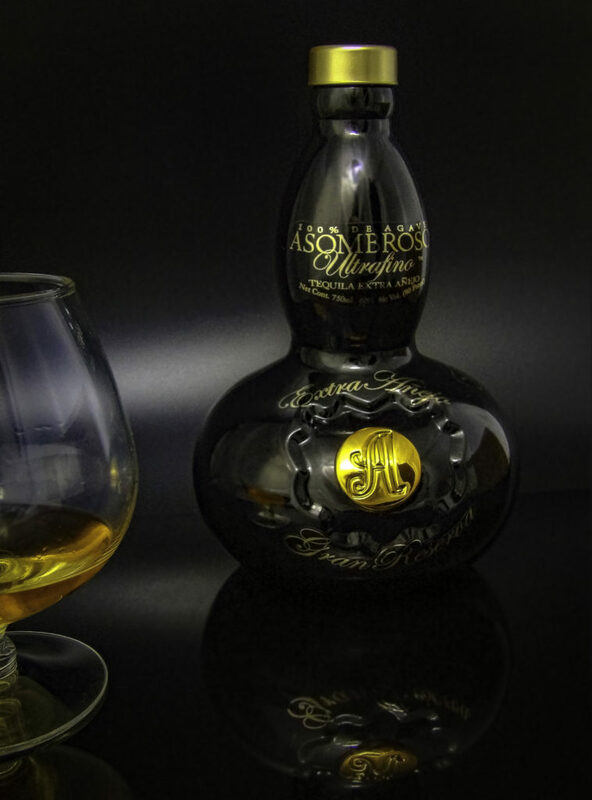 If you fancy the idea of combining the bright, fresh taste of Tequila with the slow, savoring the experience of enjoying a good scotch or cognac, then you will enjoy Ultra fine Tequila like Asombroso Gran Reserva Five Year Extra Añejo. Because like you, gentle Style Chicks readers, its’ just getting better with age. There’s tequila and then there is tequila. Technically, there are three kinds of tequila. First, there is “Silver” Tequila, the patron saint of margaritas. 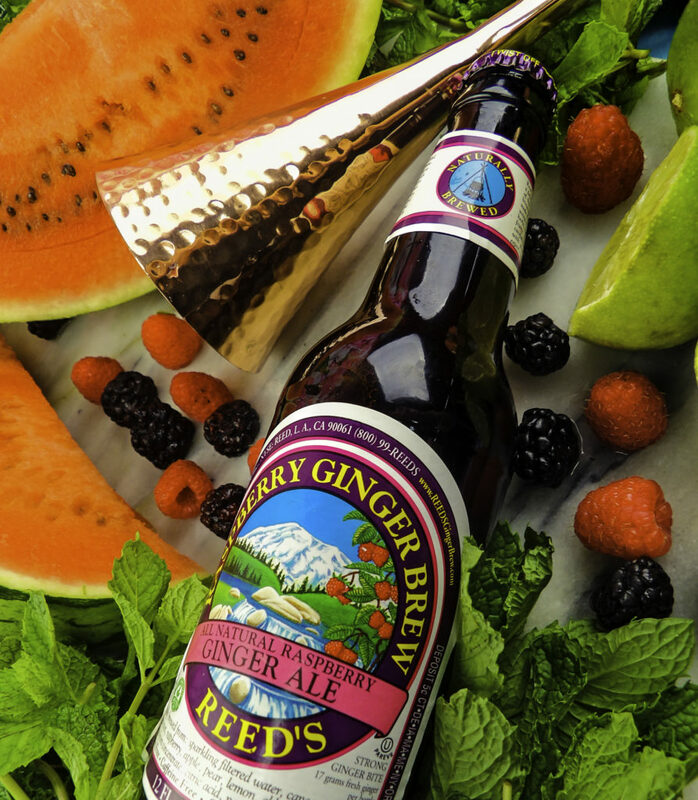 It instantly ups everyone’s favorite party drinks’ festivity factor as a highly versatile base for a slew of fruity flavors. With its’ earthy agave flavor, most Silver Tequilas are generally part of a mixed drink or reserved for doing shots, often college-frat style. 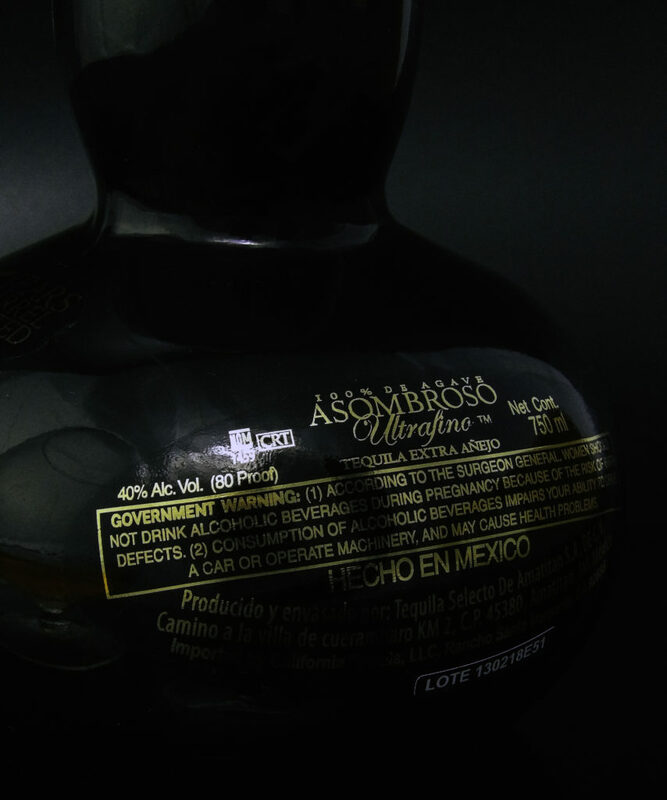 Then there is briefly aged “reposado tequila”, which has had a respectable two to twelve-month “resting” that is just long enough to mellow the bite and the earthy taste. It’s more of a Blanc than flavorful, perhaps a bit fruity or caramel-like, but not sweet. It does not require watering down, and makes a more enjoyable shot of Tequila shots than a Silver; something to drink along the way within an evening as a compliment to the meal or occasion, but not a destination unto itself. But reposado tequila is a stand-up guy of liquors nonetheless, elevated above the college bar variety of tequilas. A slightly more grown-up tequila, albeit a grown-up on holiday if you will. Then there’s the third kind of Tequila: “Extra Añejo”, or extra-aged. Extra Añejo has been aged at least three years in oak. They are a deep golden color and often have a honey and smokey taste like a good scotch. As you can imagine, they are less well-known than their party-hearty Tequila brethren. The longer it ages, the better it tastes, evoking a Cognac kind of vibe over time. It is a luxury item of distinction not intended to be obscured by other flavorings (i.e. used as the liquor in a margarita). It is a sipping Tequila. A cultured, artisan, higher echelon tequila. All that being said, why drink luxury Tequila? 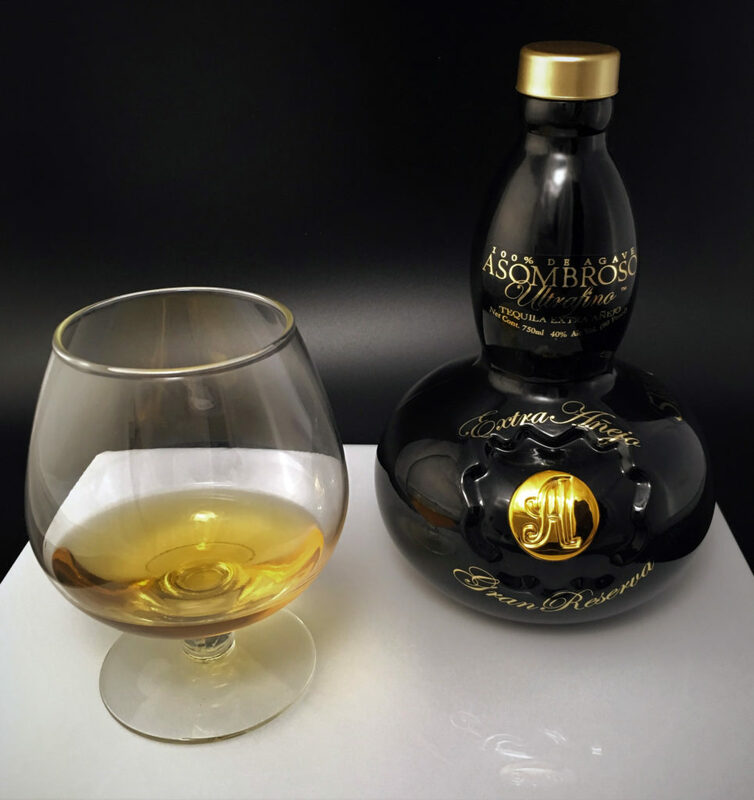 We recently had an opportunity to experience Asombroso Gran Reserva Five Year Extra Añejo Tequila, a Tequila to be savored and enjoyed. It comes in a beautiful bottle, reminiscent of heavy art glass. There is a heavy golden engraved style stamp logo. 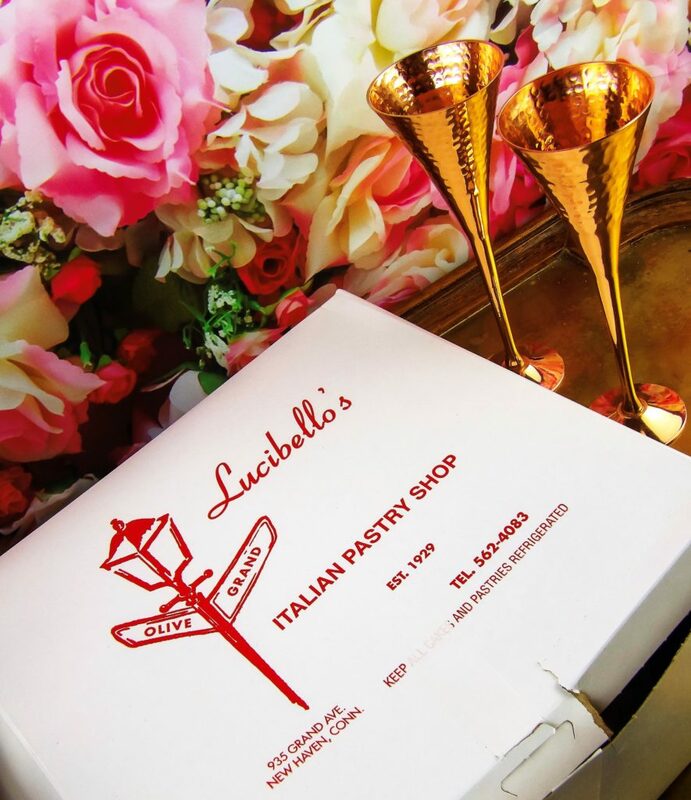 It comes wrapped exceptionally well, there are two heavy duty Ziploc style seal bags over an inner bag, wrapped in black gift tissue paper in a thick sturdy inner box, shipped in a well wrapped outer box. It is housed for safety in transit and yet like a gift. While I love prettily package products as much as the next gal, it makes me wonder whether to expect a regular but pretentious tequila or the fine malt scotch of tequilas. Gran Reserva is a 100% blue agave Silver that is aged 5 years (well past the three-year minimum required for finer Tequilas) in new French oak barrels. What is so special about that? 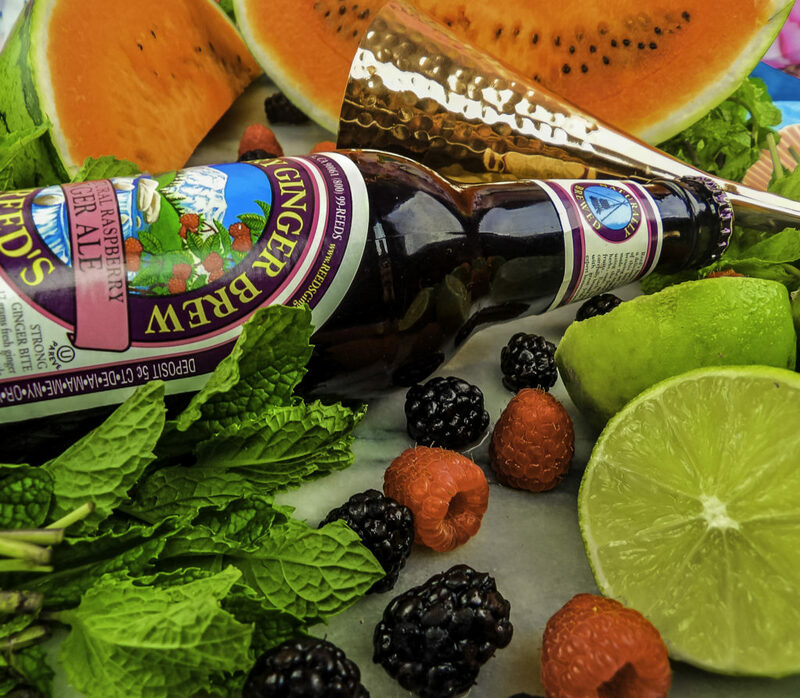 Blue agave is what gives that bright, fresh taste to Tequila, and aging it is what mellows the bite. The longer it is aged, the smoother it is. Oak Barrels gives the cognac or scotch smokey overtone. Aging in NEW French oak barrels optimizes this taste and makes it distinctly Gran Reserva. 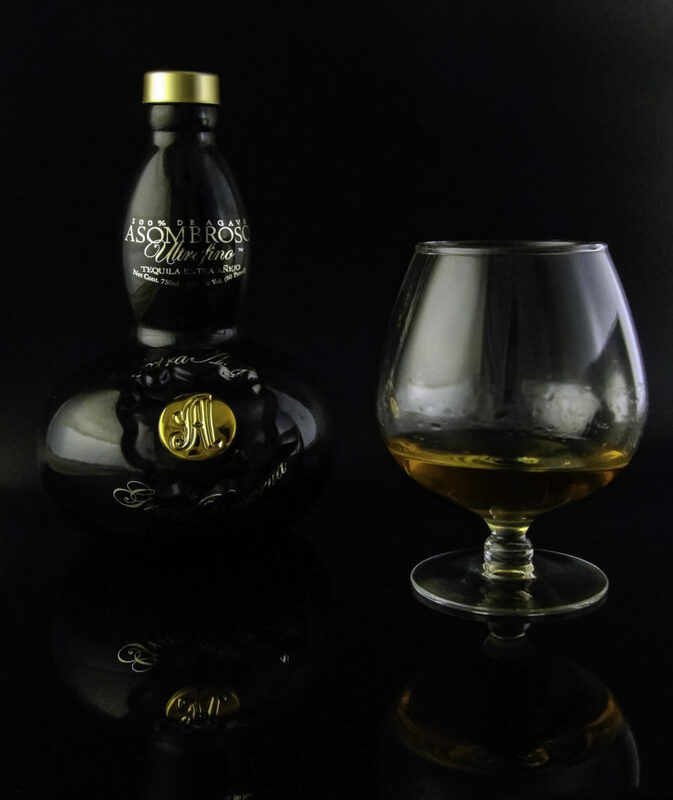 This gives premium Añejo a full-bodied taste that critics have compared to an aged Cognac or Armagnac. Gran Reserva is to be savored, this is decidedly not your run-of-the-mill Tequila for doing shots. There is a wonderful aroma as soon as you open the bottle. It is best served in a snifter, not a shot glass in order to allow it to breathe, to enjoy its aroma and see its’ lovely golden honey glow. While it certainly could make a marvelous mixed drink, obscuring its’ flavor and aroma would in part miss of what makes this drink so exceptionally distinctive. 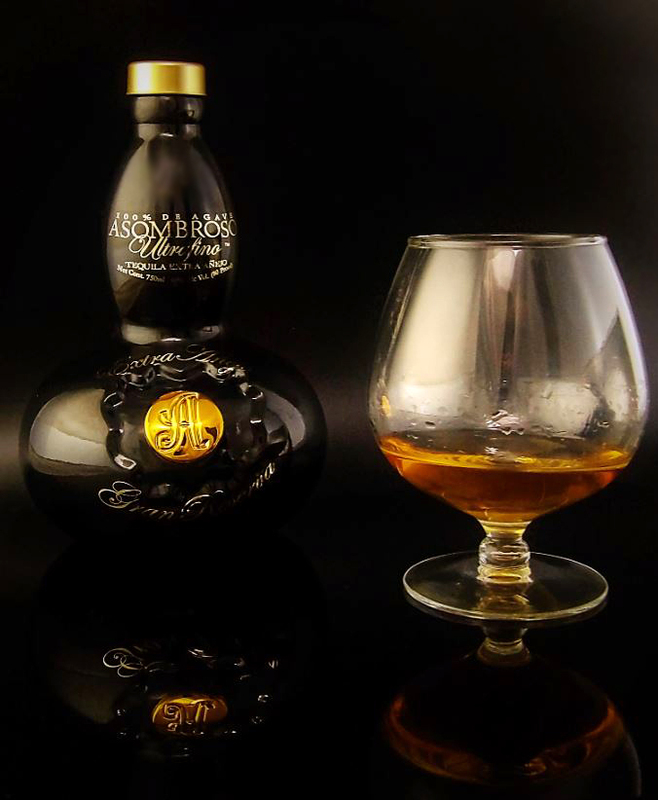 Anejo Tequila is their 100% El Platinot, aged five years in French Oak barrels. The result is a full-bodied tequila that reminds me somewhat of a fine Armagnac. I enjoyed the aroma of honey and vanilla notes for literally, a full five minutes before tasting. There are buttercream and toffee, yielding to a smooth caramel finish. The main event didn’t disappoint! The smooth caramel finish was exceptional, leave me looking forward to the next occasion to experience this wonderful tequila. WHEN IS A GOOD TIME TO DRINK A FINE TEQUILA? 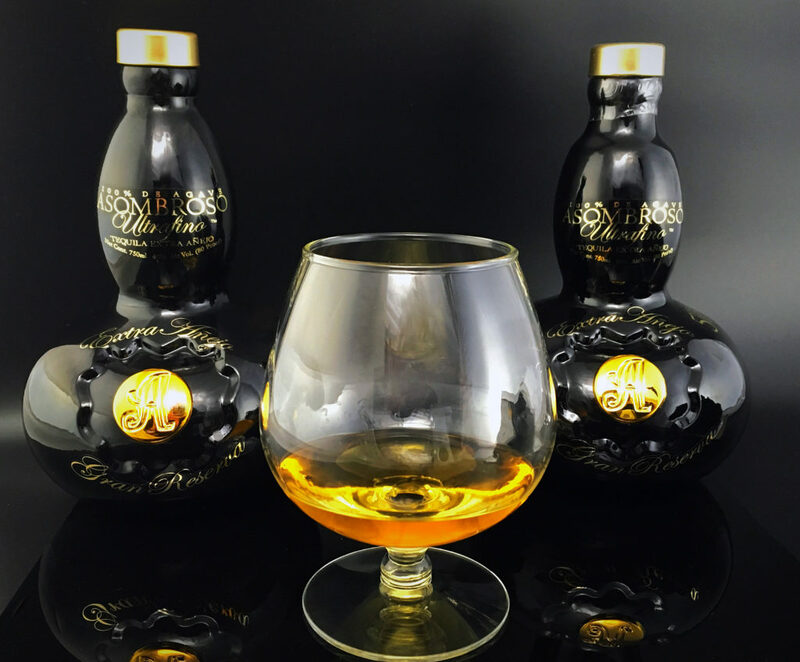 Ideal for an event, bachelor’s night, passing-the-bar celebration, or any evening worth celebrating, Gran Reserva Extra Añejo offers a traditional crowd-pleasing liquor in a distinctive, upscale way that makes for a unique experience for your next event. 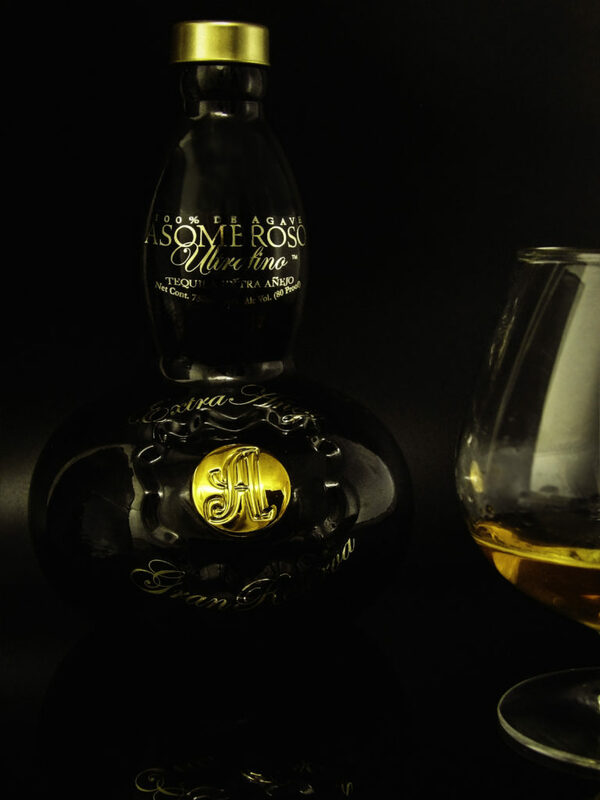 If you like the idea of a scotch tasting party, a fine tequila like Gran Reserva Extra Anejo is probably something your friends have not tried but would make for a unique and memorable group tasting experience. Still need a good excuse to start drinking ultrafine tequila? Asombroso is having a Buy one get one 50% until Cinco de Mayo, May 5th (hint, hint…). 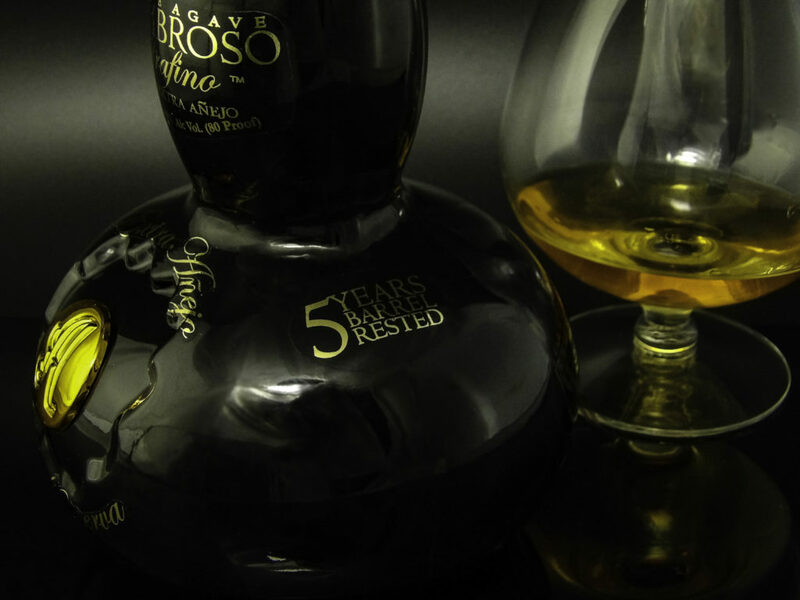 We received Asombroso Gran Reserva Five Year Extra Añejo Tequila in exchange for our unbiased review and received compensation for our time and effort. However, our experience with the product and the opinions expressed in this review are 100% ours. 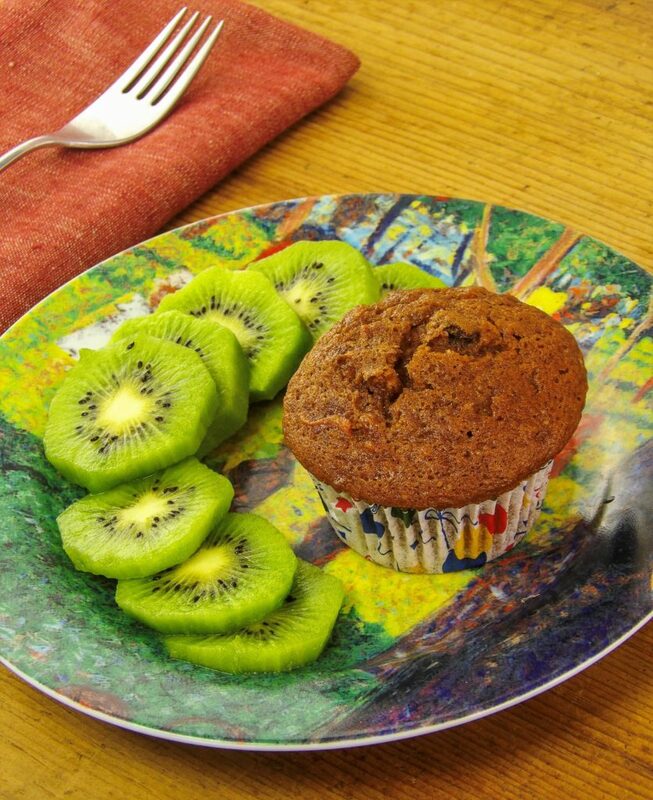 Low sugar, low carb diets aren’t easy, but people report feeling better with more energy. Why is this? Our body converts carbs to sugars, and we knowingly or unknowingly consume copious amounts of daily sugar, even if we don’t feel like we’re over-indulging on sweets. Sugar can make us feel sluggish, plus lead to a host of serious health problems, weight gain, and dangerous low-grade body and skin inflammation. But the sugar habit, whether in the form of coffeehouse beverages, dessert, french fries or white bread, is difficult to break, especially over a rushed lunch break. At times, carb-laden meals are unavoidable. How can one avoid going into sugar overdrive? 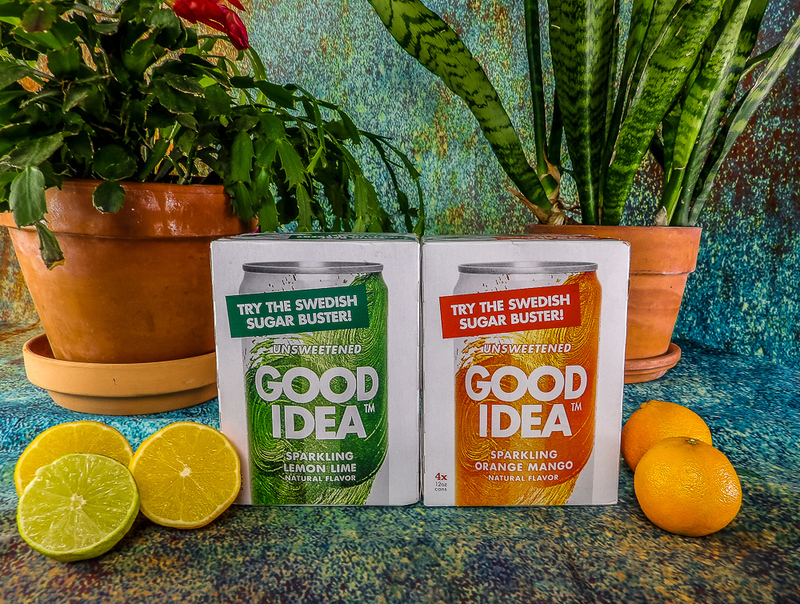 Good Idea is a Swedish Sugar Buster. It’s a scientifically proven dietary supplement designed to be consumed with any meal to help a healthy person regulate the blood sugar rise and eventual energy slump from a fast carb, sugary meal. 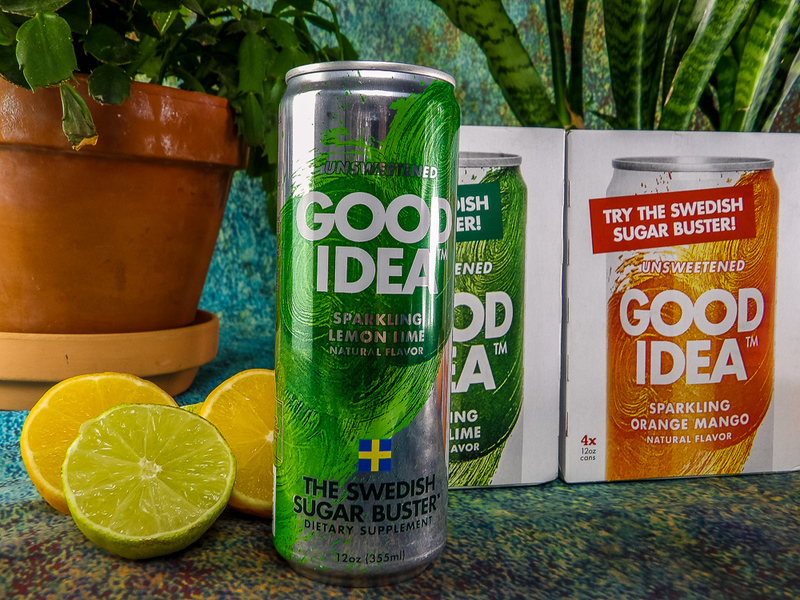 Good Idea is a flavored sparkling water that contains a small amount of five amino acids and a mineral that helps the body’s blood sugar level regulate the impact of the sugar spike following a meal. 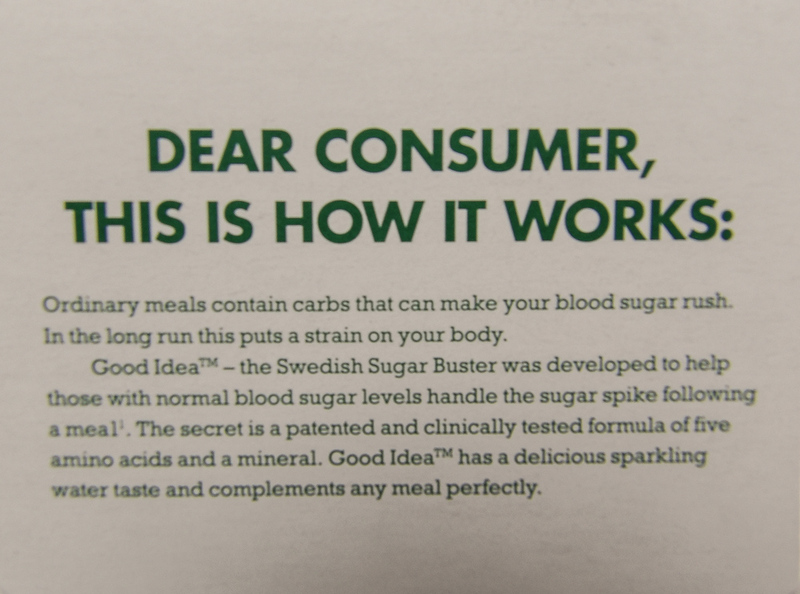 It works with any meal containing fast carbs (fries, loaded potatoes, white bread, pizza, pasta) or sugar (sugary breakfast cereal, muffins, desserts, snacks, etc). It can also be consumed directly after a meal and still be effective. Clinical studies done on healthy people with normal blood sugar levels show the combination of amino acids and the mineral chromium contained in Good Idea reduce post-meal blood sugar levels by 20-30%. This greatly reduces the load on the body to process these sugar and carbs and helps eliminate the inevitable post-meal sugar crash or energy slump. 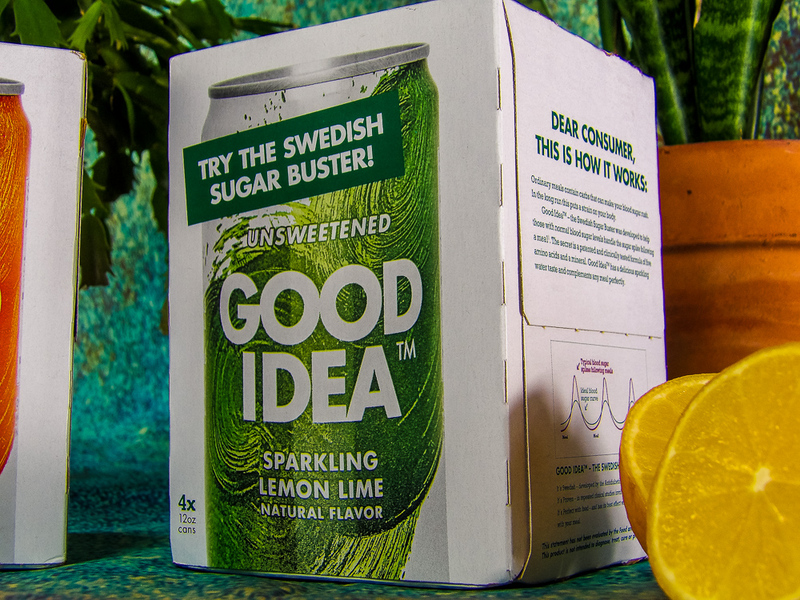 WHAT ARE THE INGREDIENTS IN GOOD IDEA? 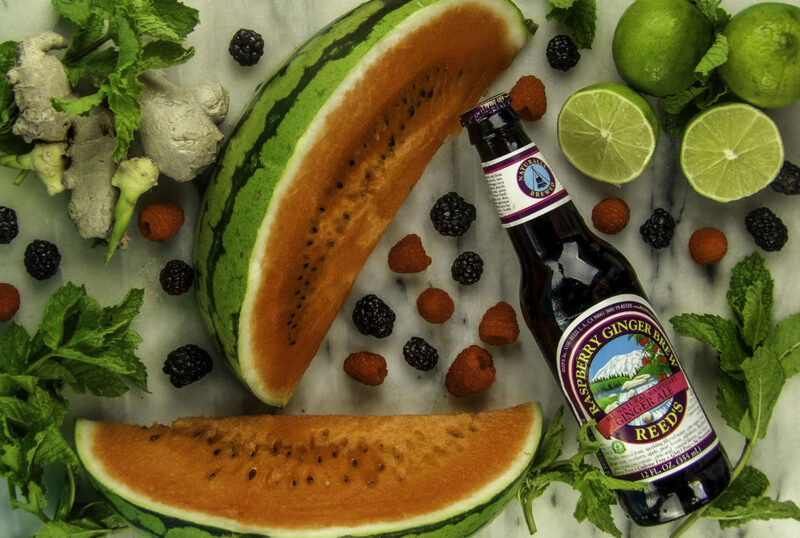 This sounds like a great idea, but what exactly are we drinking? Isoleucine appears to promote glucose consumption and uptake, especially during exercise. Leucine beneficially influences the muscles and is beneficial when taken at specific times as related to a meal. Typically contained in any food containing protein, and more powerful than Isoleucine. Threonine is necessary for protein synthesis. Lysine is found in many foods (fish, chicken, soybean, garbanzo beans, milk, eggs) and is used in the biosynthesis of proteins and repair of muscles. Chromium Picolinate is well known for maintaining normal blood glucose levels in both healthy and diabetic persons. Combined with the five amino acids above, results in less insulin needing to be released into the body to manage a high carb or high sugar meal. HOW ARE THESE AMINO ACIDS SOURCED? 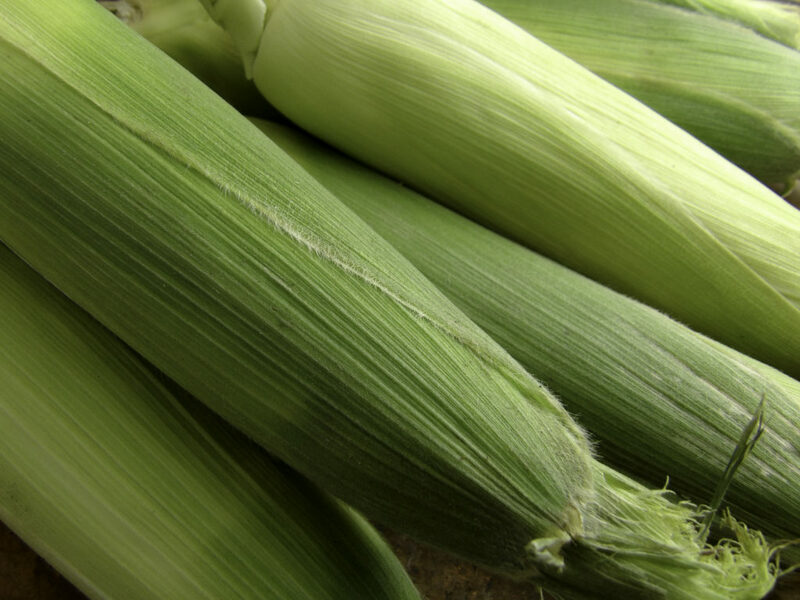 The amino acids are produced by controlled fermentation of non-GMO vegetable sources only (sunflower seeds, corn or pure glucose). 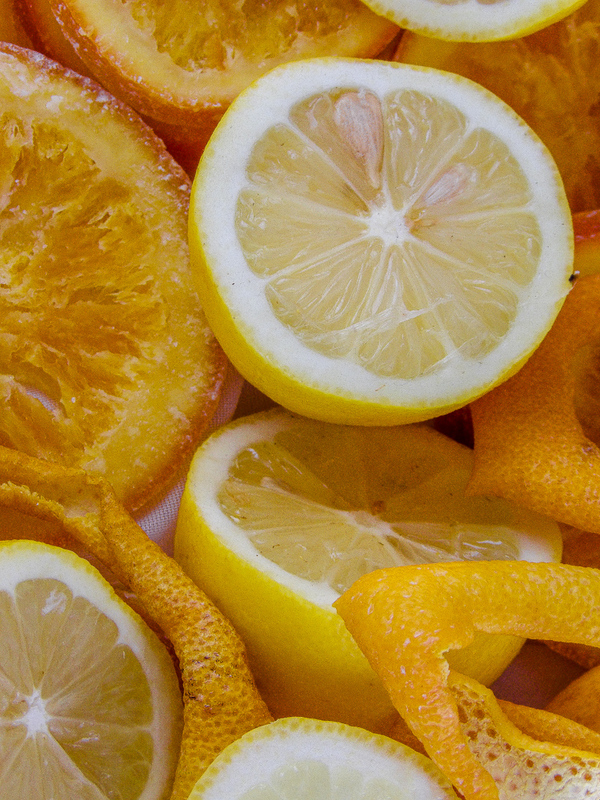 It is a sparkling water that comes in two flavors: Sparkling Orange Mango and Sparkling Lemon Lime. Both have no sugar or artificial sweeteners and contain ten calories a serving. I typically require plenty of caffeine during the day and often drink an ice-cold Diet Soda at lunch. The problem with this is I have read some studies that indicate you may be saving calories with some Diet Sodas, but your body still thinks it is processing sugar. 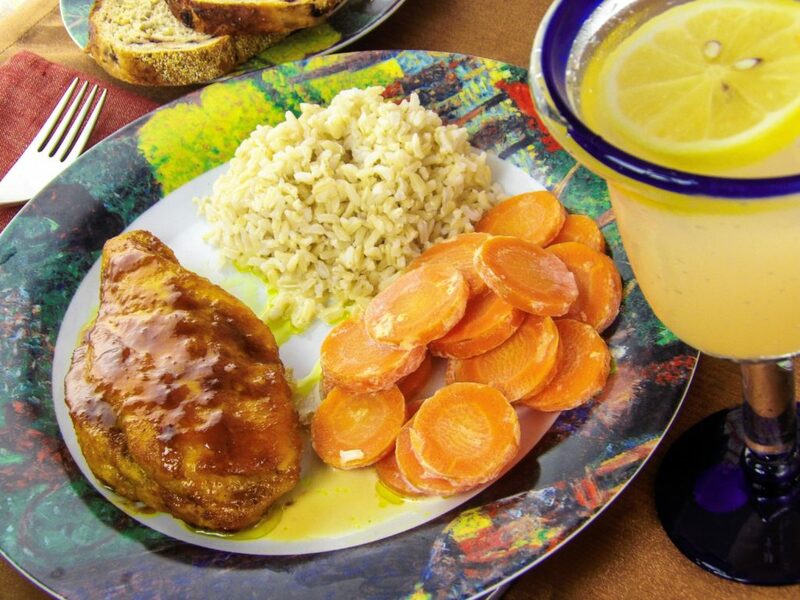 If you drink a diet drink at mealtime to save calories, then at ten calories, Good Idea is a tasty alternative. 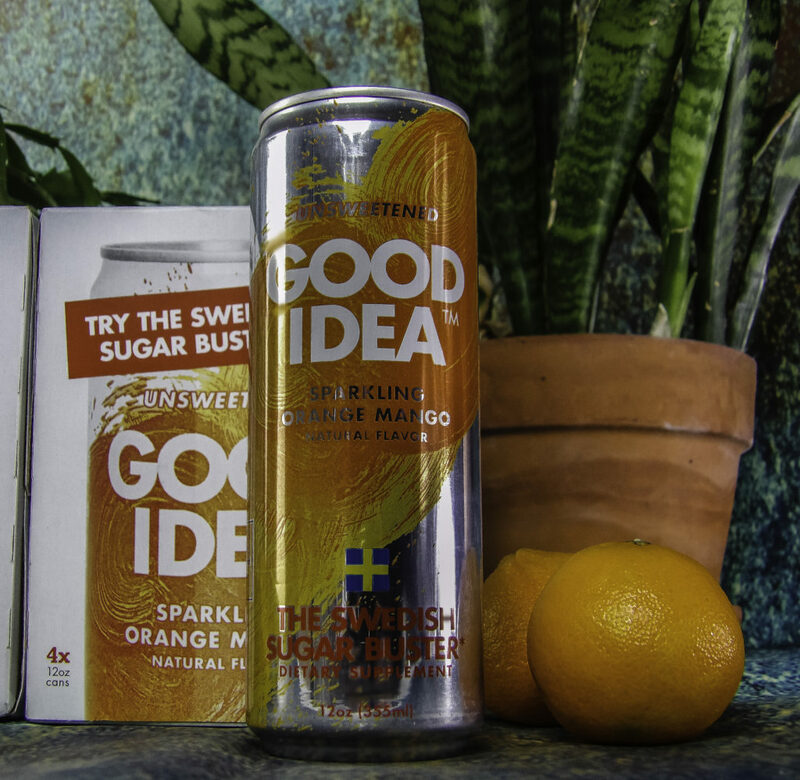 Good Idea comes in single-serve cans so it can be chilled just like a can of soda, so I don’t miss the cold fizzy taste of a carbonated drink. 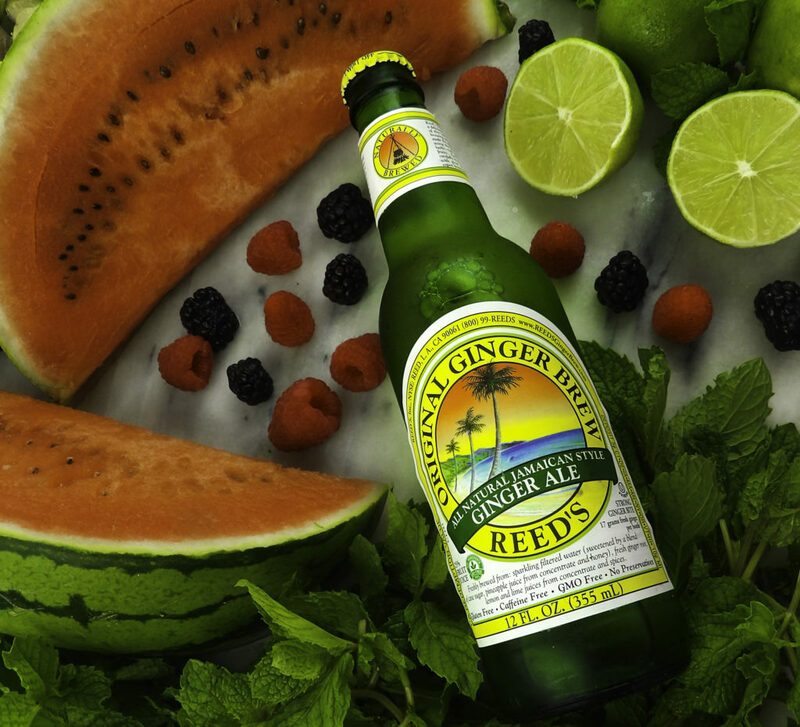 I like the Mango Orange which is lightly sweet with a smoother mango taste, but really like the Lemon-lime, which is tart, lightly tangy and less sweet. 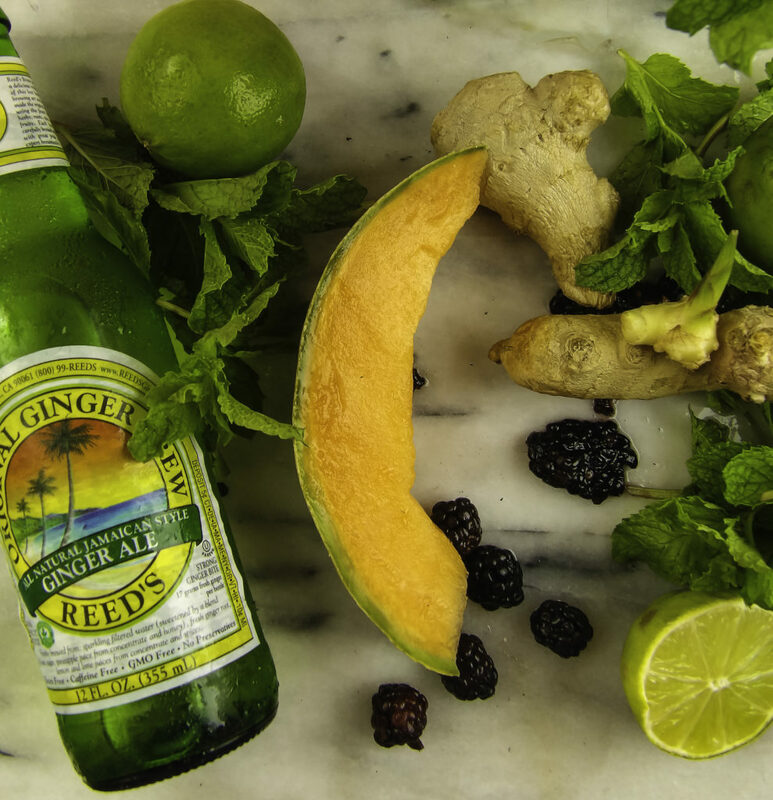 There is no artificial, acidic or chemical taste or weird aftertaste. It is refreshingly flavorful for a sparkling water, especially when chilled, so I don’t miss having a soda when I drink a Good Idea. With a pizza or with a burger and fries, I almost always make it worse and have a soda. I know it’s bad for me. As these are both high carb meals, they tend to lead to an afternoon energy crash that often makes me need another soda or coffeehouse coffee and snack to stay energized, and these often contain even more carbs and sugar. So for my weekly pizza lunch treat, I tried a well-chilled Good Idea Sparkling Lemon Lime instead of a diet soda. I didn’t miss the soda and did notice that with the Good Idea I didn’t feel as tired after I ate and didn’t feel an afternoon energy slump that required repeated carb loading to get through the day. My energy felt more even and constant without the need to re-binge on carbs. 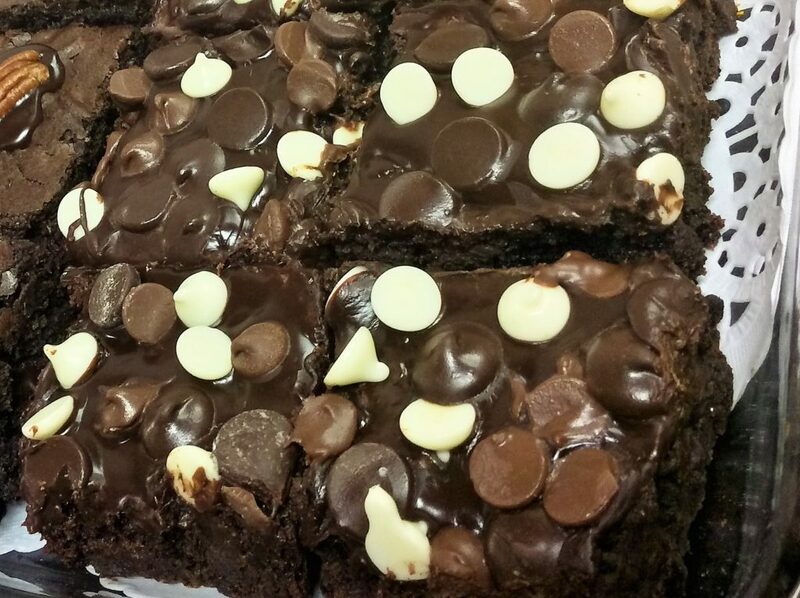 Going to a party with too many tempting treats? 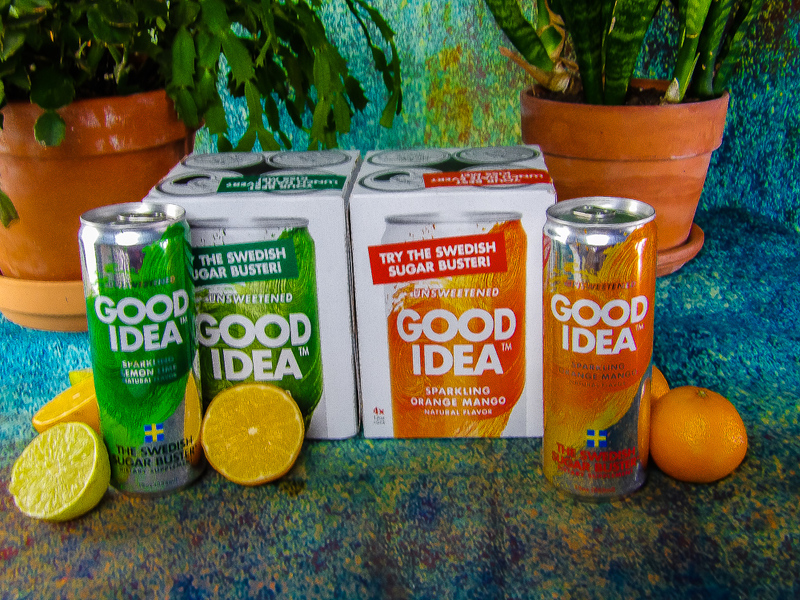 Don’t miss out on all the fun when you can just drink Good Idea. The can itself is thin, so it can fit into your bag and as it just looks like regular sparkling water, you can enjoy yourself without the guilt. Good Idea also works when consumed after a meal, and it can be consumed alone just as a refreshing beverage. I sometimes go to the vending machine, coffeehouse, cafeteria, restaurant or food court with the full intent of making healthy choices, and somehow things derail. Or maybe there is an unexpected celebration with cake that you feel compelled to eat not to hurt someone’s feelings. Keeping a spare Good Idea on hand at work helps me keep my carb and sugar load in check even when I have an unexpected high-carb day. 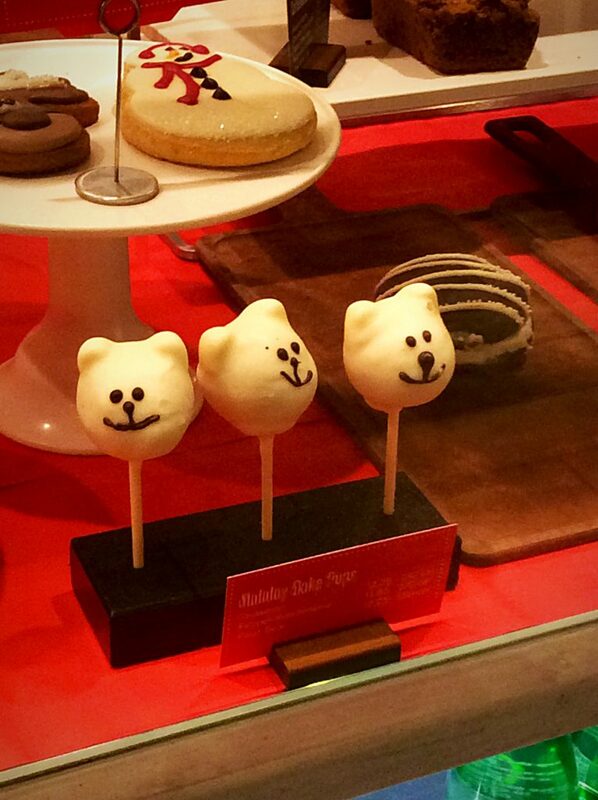 Do impulse cute confections such as these little bear cake pops unexpectedly break your diet or exceed your daily carb limit? Drinking a Good Idea with your meals that day can help decrease the excess carb and sugar load your body experiences when you indulge. This is not to say that Good Idea is a free pass to eat whatever you want with no consequences. 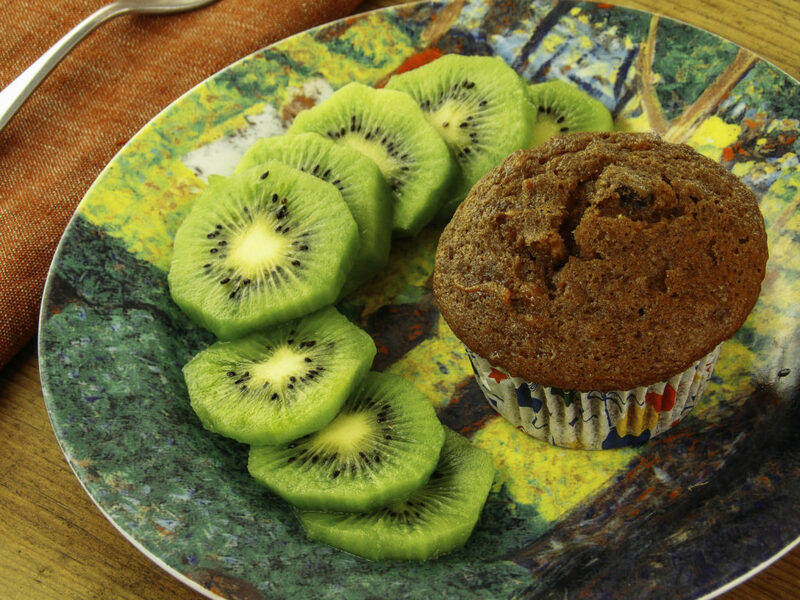 But realistically, the best of us flub up sometimes when it comes to healthy eating. 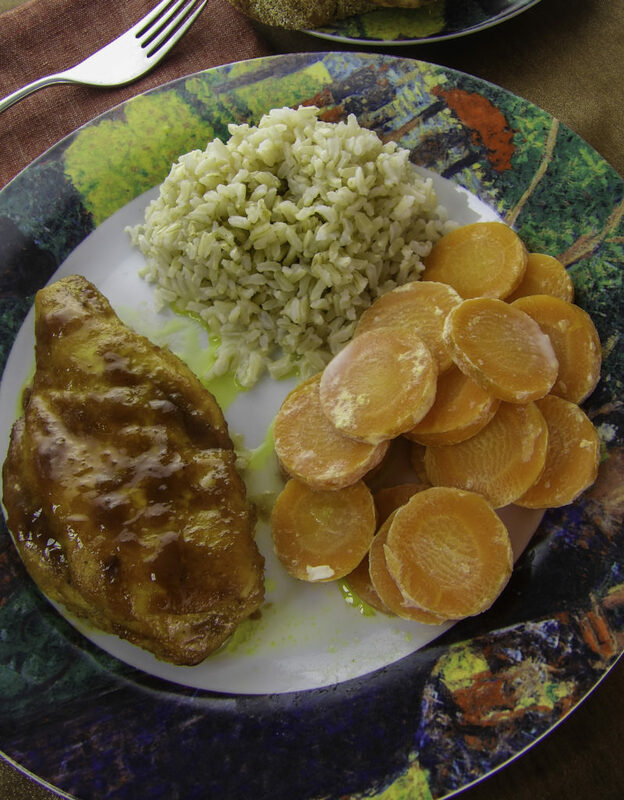 Often we don’t always have the time or energy to make the healthiest meal choice. You may often opt for low carb zoodles over high-carb pasta, but it requires planning to shop and prep to make zoodles verses the fast and easy pasta night. 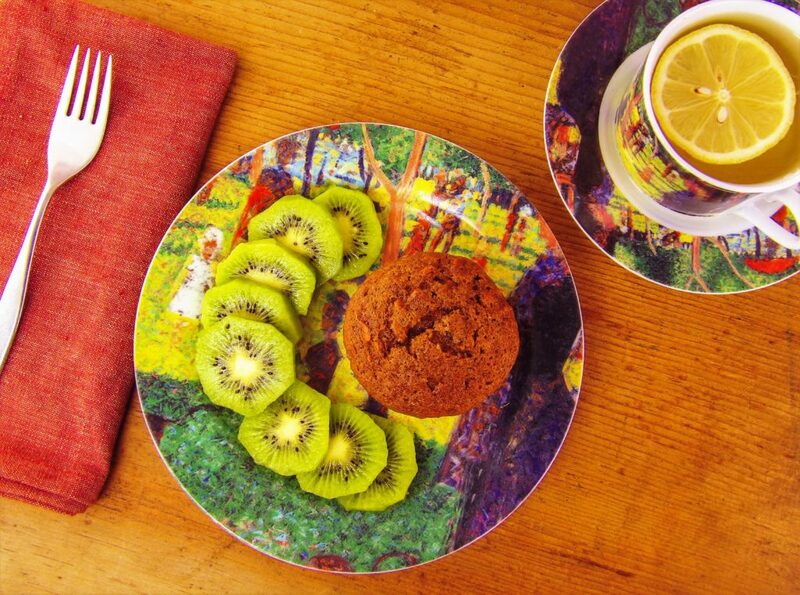 It happens sometimes, and Good Idea can help reduce the impact of less-than-ideal menu choices or fast and easy food. 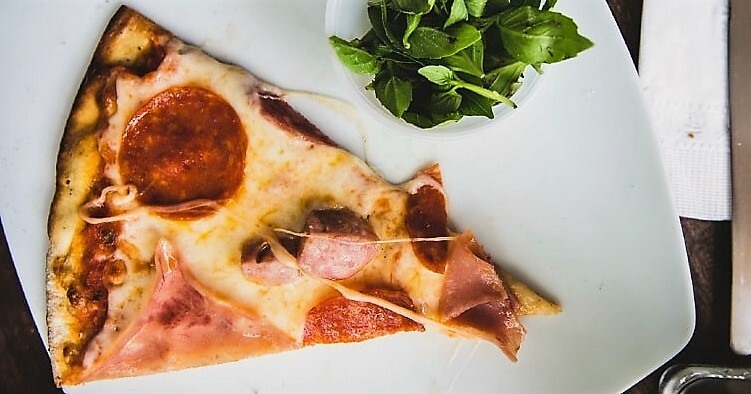 If a high carb meal like pasta or pizza or fries is your favorite, it’s tough to stick to a healthier way of eating when you feel you must give your favorite food up forever. 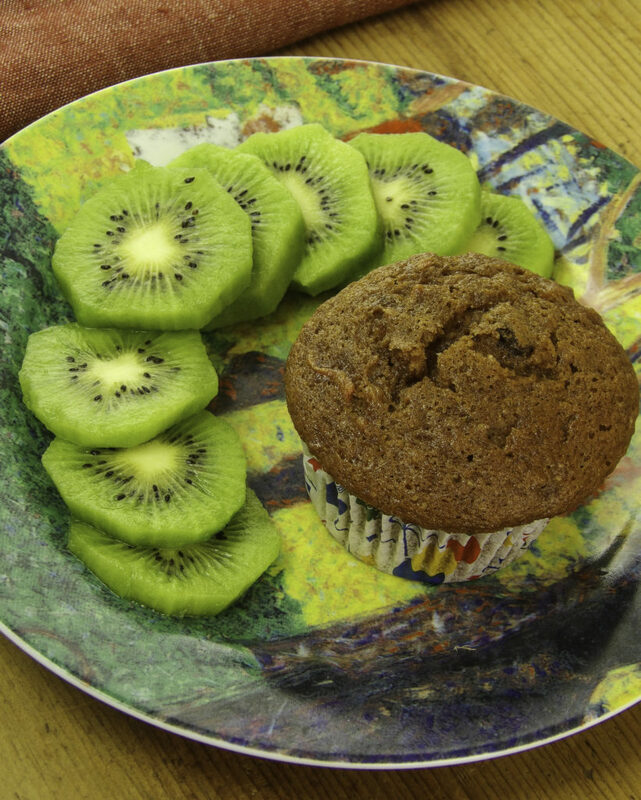 Good Idea allows for a planned or unexpected indulgence, which makes a diet or healthy lifestyle change more workable. 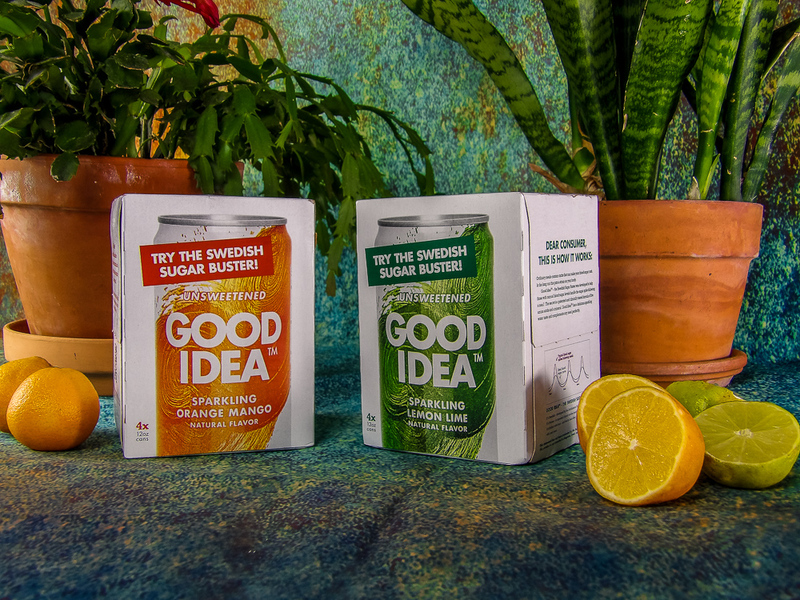 Good Idea is based on years of research at Lund University, a leading Nordic university and a center for healthy food inventions. They initially discovered that a certain combination of amino acids beneficially influenced the blood sugar rise following a meal. 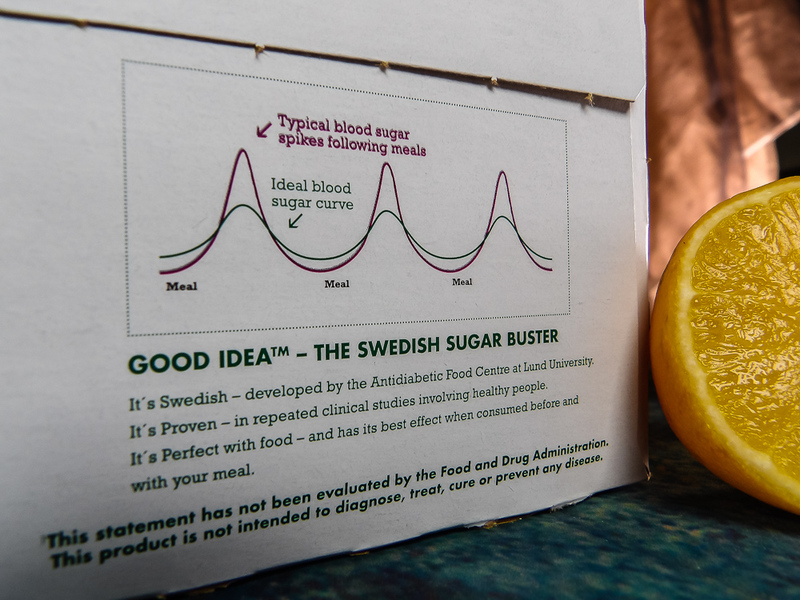 Backed by repeated clinical studies, Good Idea™ – the Swedish Sugar Buster was created. Many of us enjoy a flavored Sparkling Water with a meal, Good Idea saves a carb-laden meal or sugary snack from being a dietary disaster. 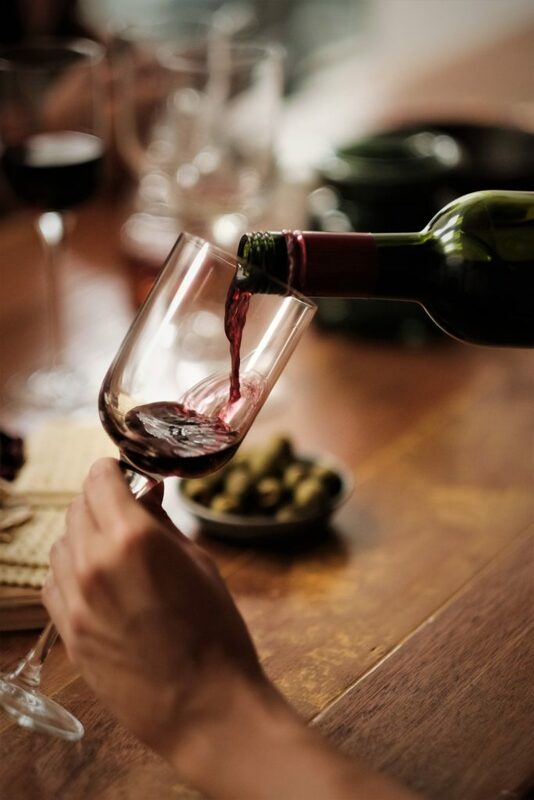 Drink one with a meal, or if you go to a restaurant or a friends house for dinner, you can drink it afterward and still get the blood sugar regulating effects. 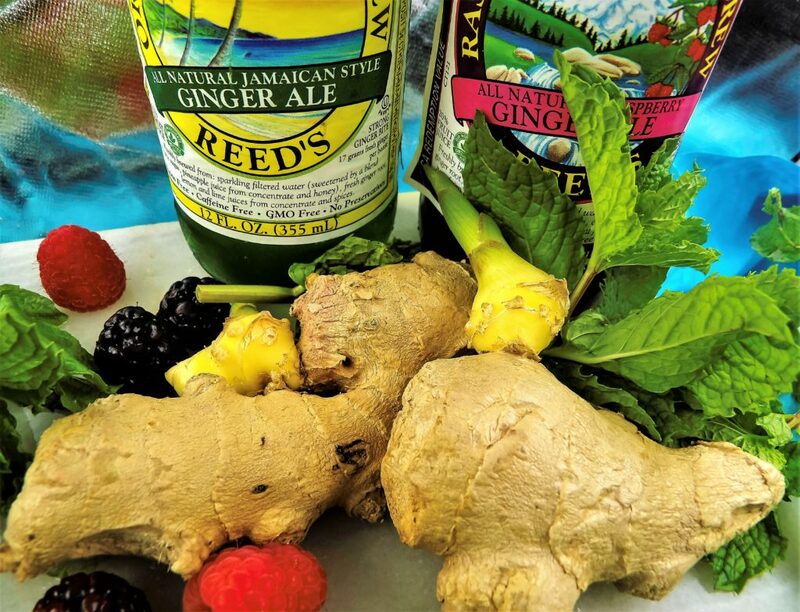 Both flavors provide safe and tasty health benefits to save the body from undue stress due to high sugar or fast carbs, including weight gain and inflammation. It also keeps a sugar rush or carb energy boost from causing a energy crash, which is ideal for regulating energy during a work day when one is often forced into a fast food meal or a sandwich lunch. 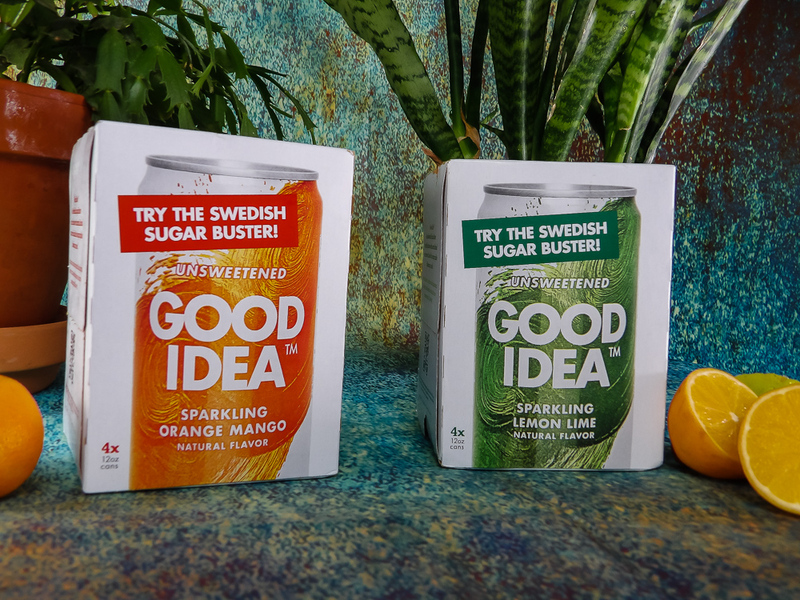 Tasty and flavorful, with only ten calories per serving, you won’t miss soda or sugary sparkling waters while helping your body naturally support healthy blood sugar levels. 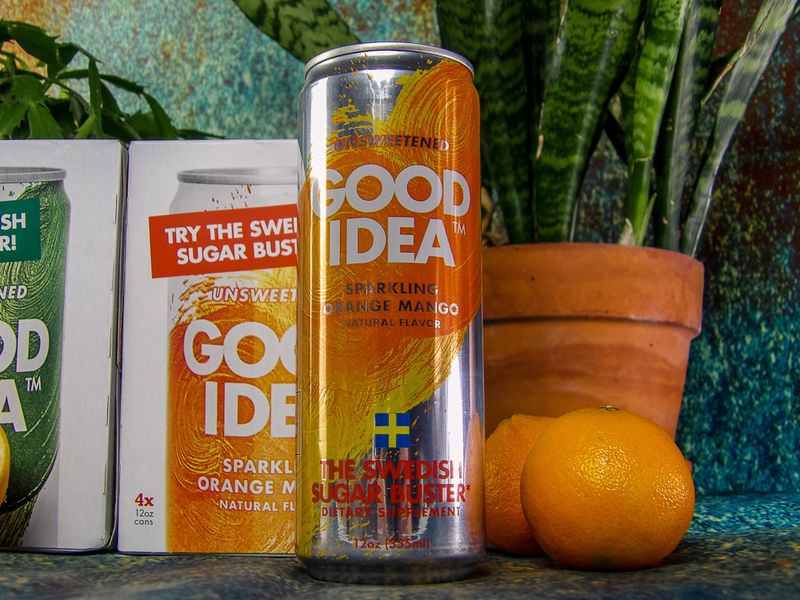 Style Chicks received the Good Idea the Swedish Sugar Buster in exchange for our unbiased review and received compensation for our time and effort. However, our experience with the product and the opinions expressed in this review are 100% ours. We grew up in a family of foodies. Cooking for friends and family is our big form of entertainment. Not long ago I had some friends over for dinner, and unbeknownst to me, I managed to trigger the food allergies of several guests. Between dairy, gluten, egg, soy, peanut, tree nut, fish and crustacean shellfish it’s all too easy to cause at least one guest to have to pass on one or more dishes you serve. Finding recipes that everyone can enjoy at your dinner parties is no small feat. That is why I was excited to find Selectivor, a new way to organize food preferences and find a meal that everyone can eat without stressing out the host or the guests. Can you spot all the food allergens in this picture? Food allergies are increasingly common, and many people are saddled with dietary restrictions. Planning a meal around multiple types of food allergies, health problems, and picky eaters can be stressful for a host. I’ve been tempted to make multiple main courses and sides and serve them buffet style to accommodate everyone, but that can be labor intensive, and if possible, if it nice to sit around a table family style and share the same meal and spend time with my guests instead of juggling lots of different meals for different guests. And if you’re attempting wine pairings for each course, you don’t want to leave some people out by only having a substitute course for them. Ideally, if one meal could be prepared, it would allow you more time to spend with guests and be a less stressful and more enjoyable evening for everyone. 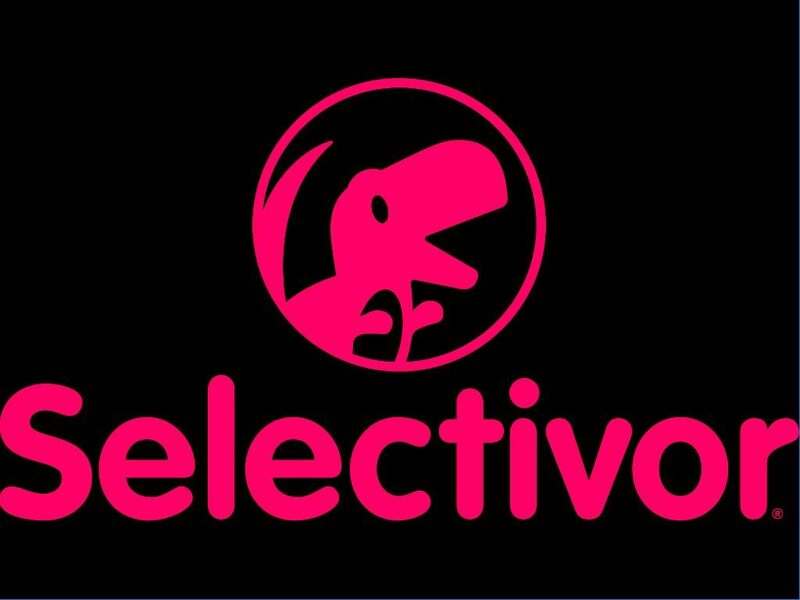 Selectivor is a web-based app that’s also available for iOS and Android, all for free. Selectivor allows you to organize food preferences such as food allergies, health, cultural or religiously-based food restrictions, clean food choices, low carb diets, or just foods a guest does not like. Then it finds what foods are commonly acceptable to the group so that everyone can eat without stressing out the host or the guests. 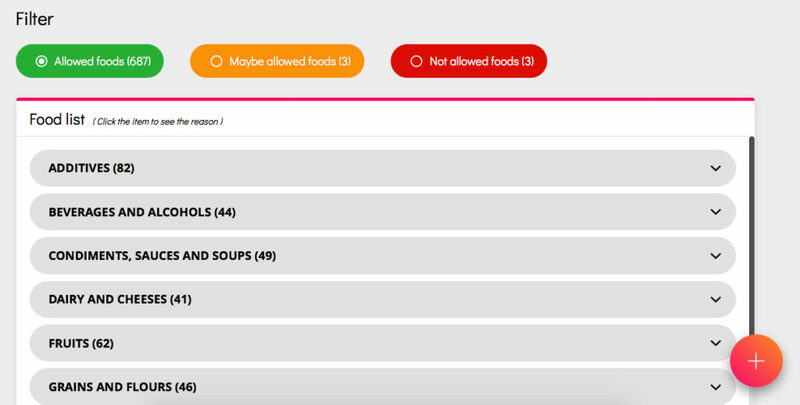 Selectivor asks everyone just three things: food allergies, diets you’re on and foods you dislike. You and your friends input your dietary restrictions, and it shows you what foods are okay for everyone. It’s social media for meal planning! Download Selectivor to an iOS Apple or Android device, it’s easy and free! Instead of the host having to ask awkward questions of if guests are allergic to anything, or risk having a guest feel left out, the common options are all spelled out for you. You plan your menu around the options provided and stop wasting time worrying about the meal choices or if you might inadvertently serve something that someone will cause a bad food reaction. 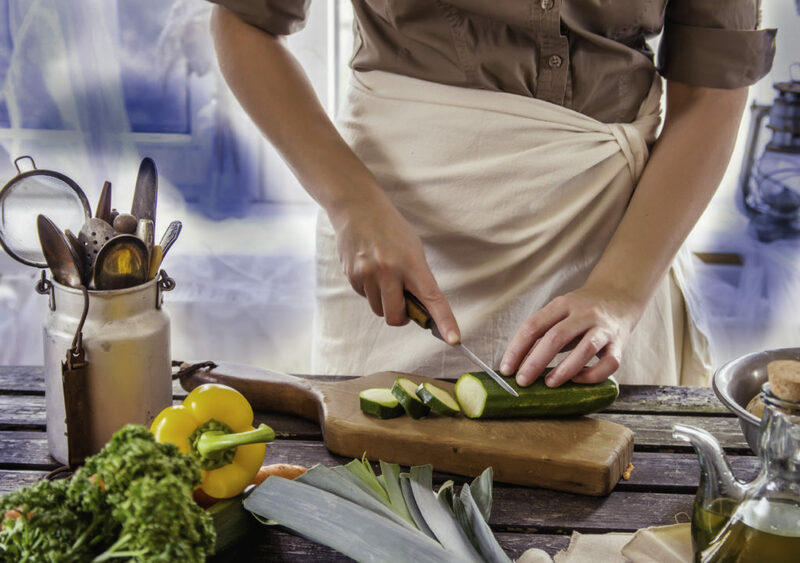 Selectivor suggests foods that accommodate everyone’s food allergies and preferences to make your food prep much easier. Instead of a haphazard collection of food items, Selectivor organizes your custom diet profile of 600 foods into foods that are okay and are not okay to eat. The Selectivor database is fairly extensive and has over eighty physician-curated diet templates which are advised by physicians from top US medical schools like Stanford, Duke, UCSF, UCLA, and University of Minnesota. Do you basically have a menu plan in mind but want to check to see if individual foods are okay for everyone? Use the Selectivor Quicksearch feature. Need inspiration and suggestions? Look through the food lists that are okay or not. Popular Diets: Ketogenic, Low Carb, Low Fat plus dozens more! And, as a beauty blog, the Style Chicks would be remiss if we did not mention our excitement to find that Selectivor has menu choices for the Healthy Skin diet, which not only has dietary answers to skin conditions like Eczema, dandruff, and acne but also has food plans for just having better skin. StyleChicks recently celebrated a Social Media follower milestone, and the team wanted to celebrate! So it was a great time to put Selectivor to the test. All our invited guests created a Selectivor profile. 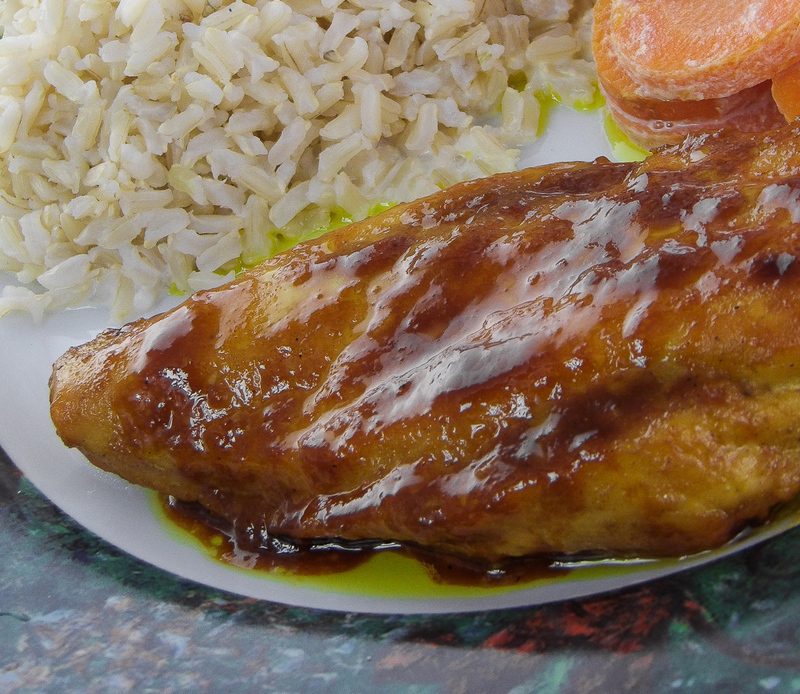 One guest chooses to avoid red meat whenever possible, another actively dislikes fish. 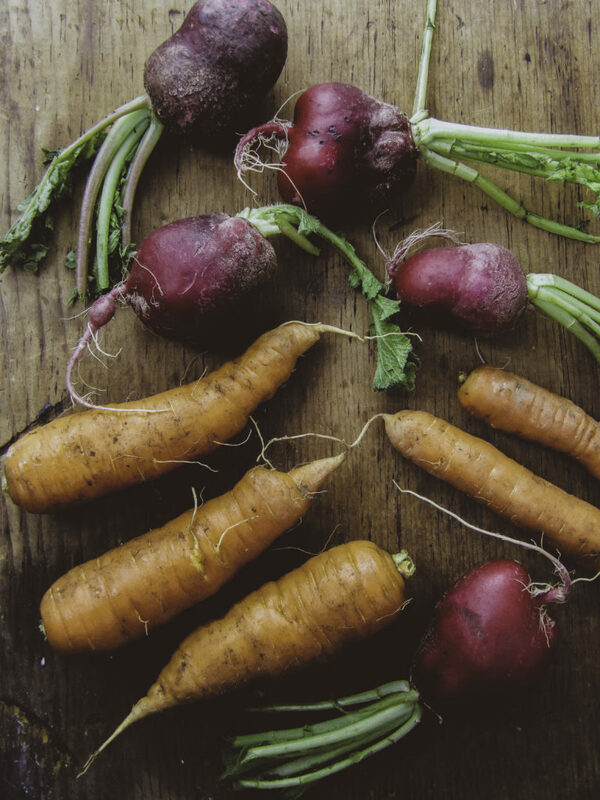 In addition to a few foods that some guests don’t like that we wished to exclude, we also wanted to incorporate some organic produce, namely recipes that could use the fresh carrots or the other veggies we got this week at our local organic community farm. Using the Selectivor QuickSearch feature, we see that carrots check out okay for everyone, so we needed to find a tasty way to prepare them. Now the fun begins. On my own, I would find it a bit overwhelming to find a recipe when we are basically left with only fowl or pasta entrees when fish, shellfish, and red meat are eliminated. But Selectivor delineates what is and is not an option to serve to display “Allowed foods“, “Maybe allowed foods“, and “Not Allowed Foods“. With a gluten-free guest, there are gluten-free pasta options like veggie noodles, but we decided to stick with fowl, and in light of it being the end of the fall season, I chose Chicken over Turkey for this particular gathering. Selectivor makes suggestions of what everyone can eat. 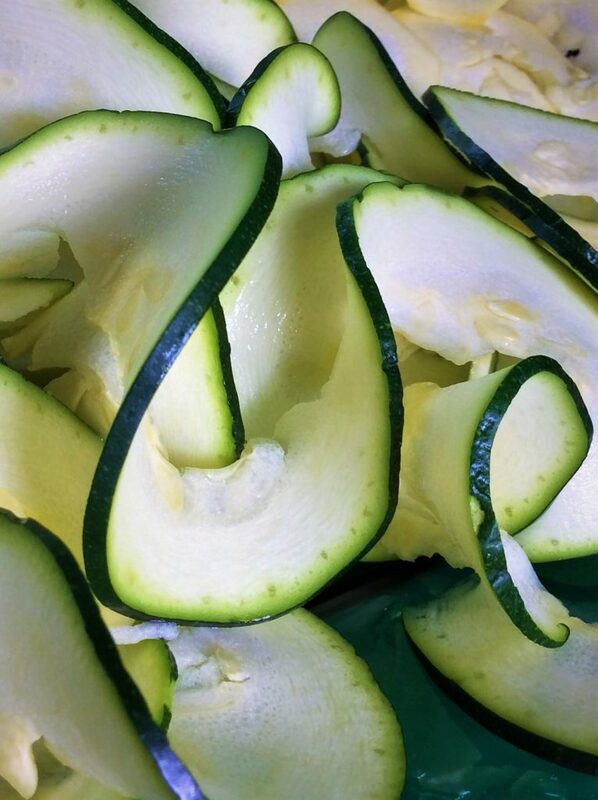 Zoodles (Zucchini Noodles) makes a great pasta substitute for low-carb and gluten-free guests. By using Selectivor, we found enough amuse-bouche appetizer selections that everyone could enjoy something along with a glass of a special wine before the meal started. We casually had wine and appetizers before sitting down to dinner. 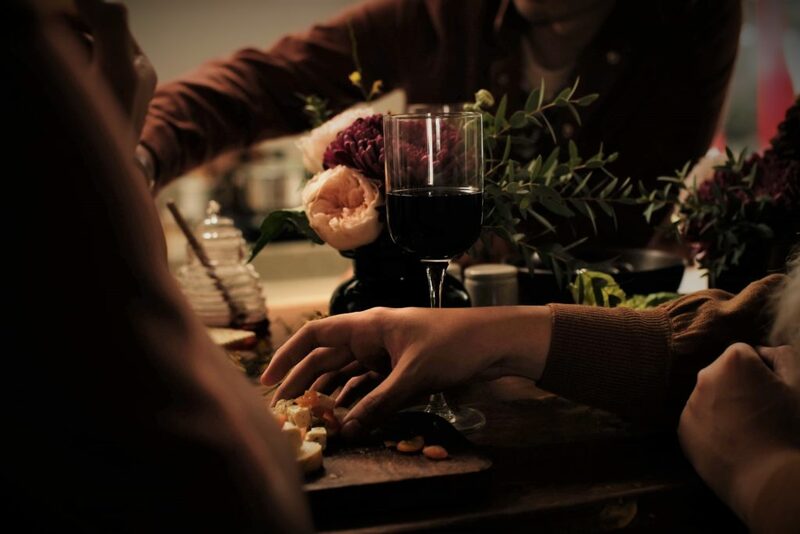 The appetizers were set out informally on my farm-style kitchen table and guests grazed and drank and we chatted while I finished the final touches on the meal. It was a good way to spend time with my guests as we all ate and drank together. Wine before dinner with several appetizers. The Selectivor inspired appetizers were a hit! This cheese uses coconut milk and cashews instead of dairy and the nutty taste paired well with the wine and gluten-free crackers. There are several non-dairy kinds of cheese readily available for purchase that are also nut free. Selectivor indicated that there were many fruits that everyone could eat, so we also served lots of fruit during the pre-dinner festivities. To complement the red wine, we selected grapes, apricots, plums, figs and bing cherries. This gave the appetizer food presentation some color and variety while also being edible by everyone. I like that with Selectivor, you can find as many appetizers as you need if you choose to serve only foods everyone that can eat. Appetizers for food-restricted guests is difficult for me, so this is a real find. Store-purchased Gluten Free baguettes are readily available fresh or frozen for my bruschetta and other bread-based appetizers. To compensate for any potential taste and texture gaps that gluten-eaters may sense from the lack of gluten, I used a particularly high-quality balsamic vinegar for the tomato and basil mix bruschetta topping to make the flavors stand out. Your gluten-enabled friends won’t notice a difference in taste or texture to the gluten-free bread as bruschetta is toasted with a bit of brushed olive oil that can be infused. The “Condiments, Sauces and Soups” section of the Selectivor Food List is very helpful to find ideas like this to enhance the meal for everyone’s enjoyment. 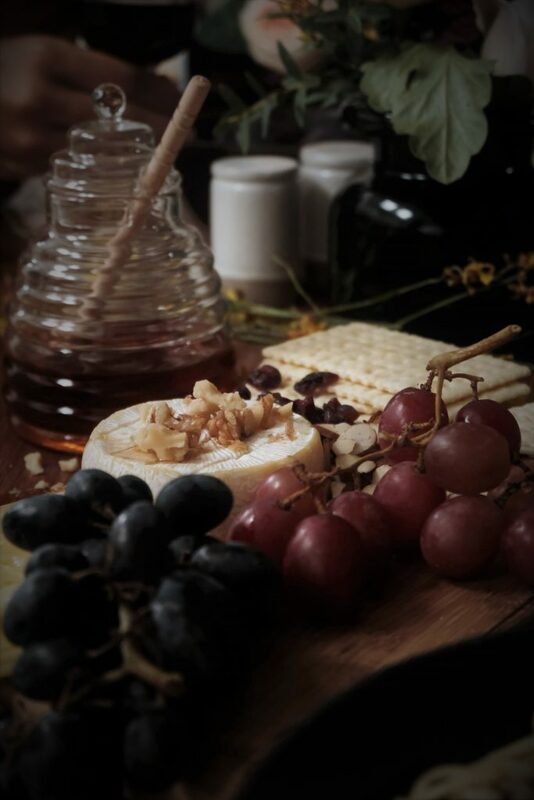 One of the cheeses was nut-based, but come to find out, not everyone with Peanut allergies is allergic to other nuts, tree nuts might be on the “Maybe Foods List”. We had Rosemary and Garlic Infused Oven Roasted Almonds, (a tree nut) which was edible even by our guest with peanut allergies. I was pleased to have so many ideas and suggestions for inspiration from Selectivor so we could serve a full and tasty menu. Using Selectivor saved time so that instead of endless researching and stressing to find recipes to please everyone, I could focus on getting flowers for the table, find a few nice wine pairings for each course, pairing fruits to enhance the wine, selecting serving pieces and shopping for foods we could all eat and enjoy. I got to try a few new things too! Are you worried your guests who eat everything will feel underwhelmed by your meal? Don’t. 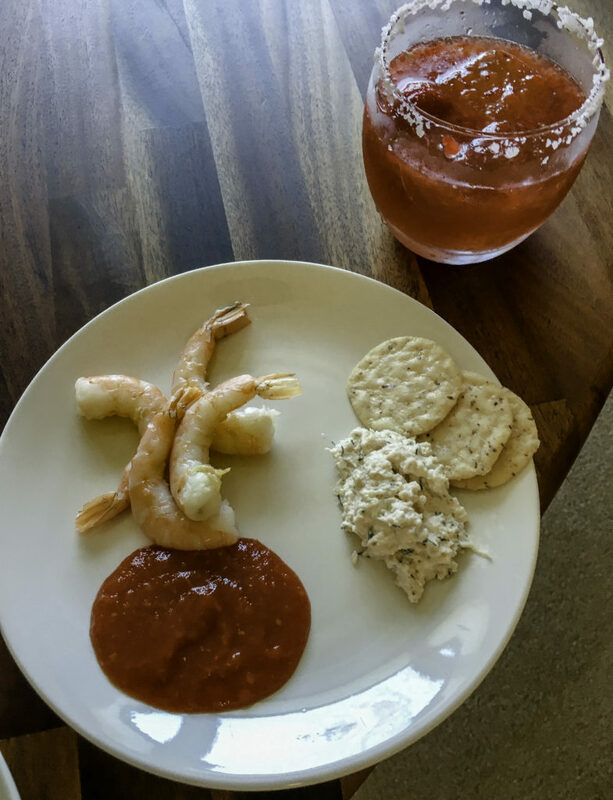 If you’re making many appetizers to enjoy with a pre-dinner glass of wine, you may still choose to have a crowd favorite that not everyone can have, like one seafood dish, as long as the seafood is clearly labeled as such to alert allergic guests to choose from the other selections. We typically serve plenty of seafood, but we found ample appetizers choices without it so this time we left it out. 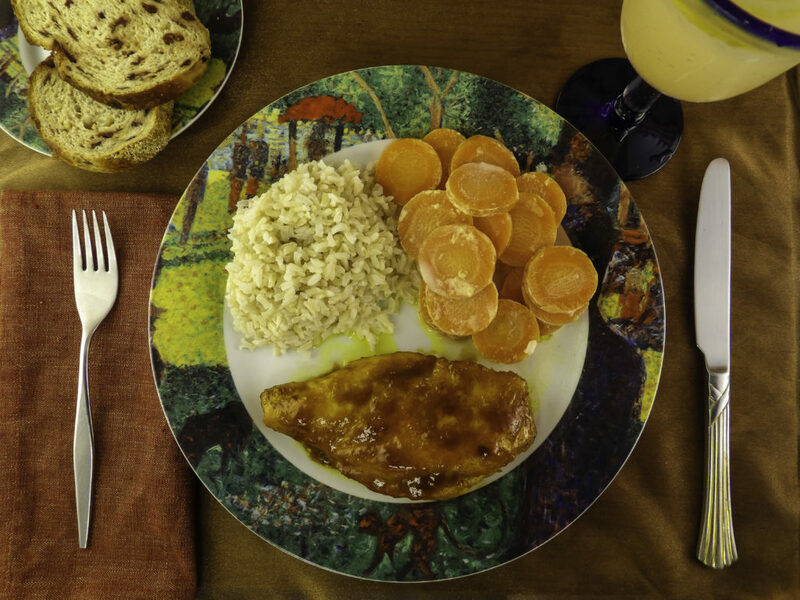 Our guest-friendly meal: Curry Chicken, Brown Jasmine Rice, Glazed Carrot Coins, Gluten-Free Artisan Herbed Bread, and to drink there was a pitcher of home-brewed Green Tea Lemonade and bottles of Chardonnay, depending on the guests’ preference. 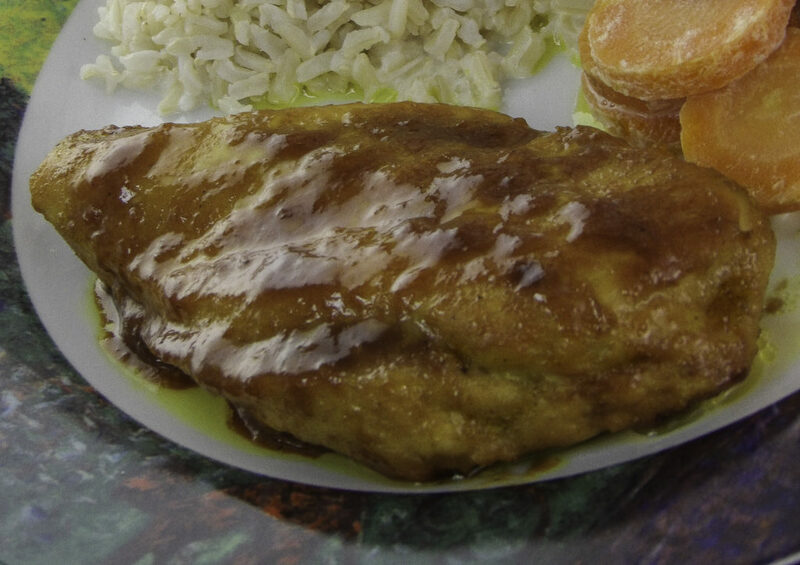 The Curry Chicken recipe is super easy to make, tender, moist and flavorful. I learned from Selectivor that many types of rice, including this Brown Jasmine Rice, is gluten-free so we could serve it to all our guests. Food restrictions don’t have to mean bland tasting food. 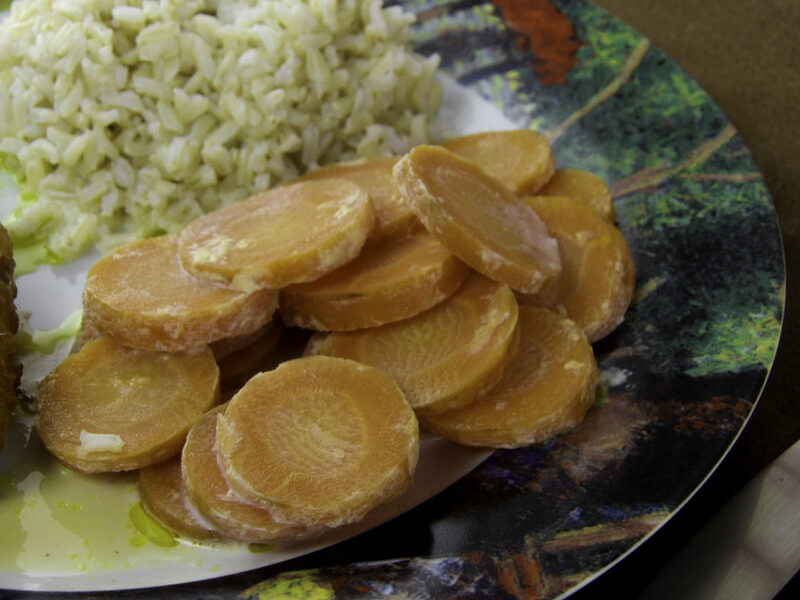 We got to use our organic farm carrots to make these Glazed Carrot Coins, a farm to table restaurant quality side style recipe made with orange juice, cinnamon, and fresh ginger that adds an unexpected lightly sweet but spicy, tangy taste! Glazed Carrot Coins using our farm-fresh organic carrots. Carrots are gluten-free. We served sliced fruit and Gluten-free Carrot Cake Cupcakes (made with the organic farm carrots) with an optional cream cheese drizzle frosting served on the side for those who could have it. It was rich and sweet enough that it didn’t really need the frosting though. 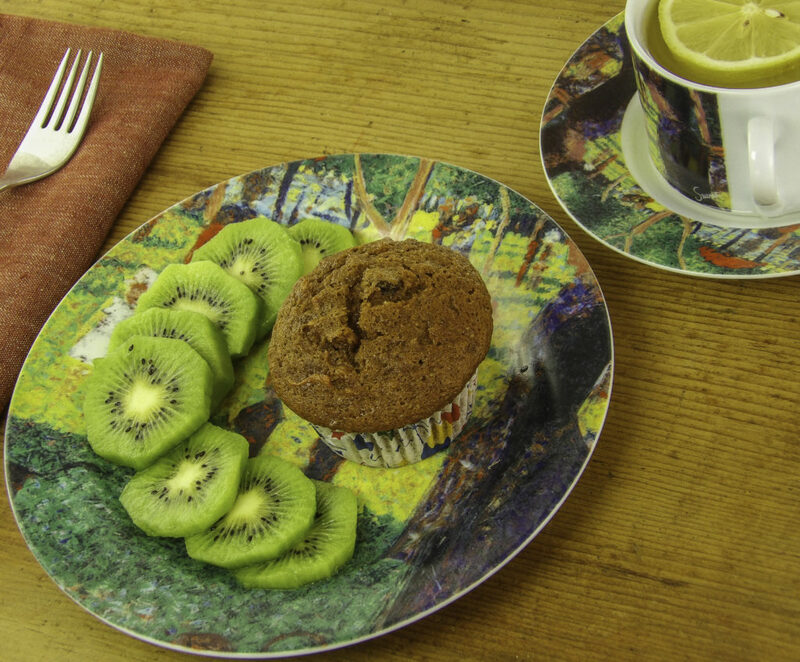 Another Gluten-free option that would have worked for everyone was an Avocado Chocolate Mousse that sounded delicious, but we opted for the carrot cakes’ seasonal notes of the cinnamon, nutmeg, ginger, and vanilla and will save the Mousse for our next gathering at the beginning of winter. 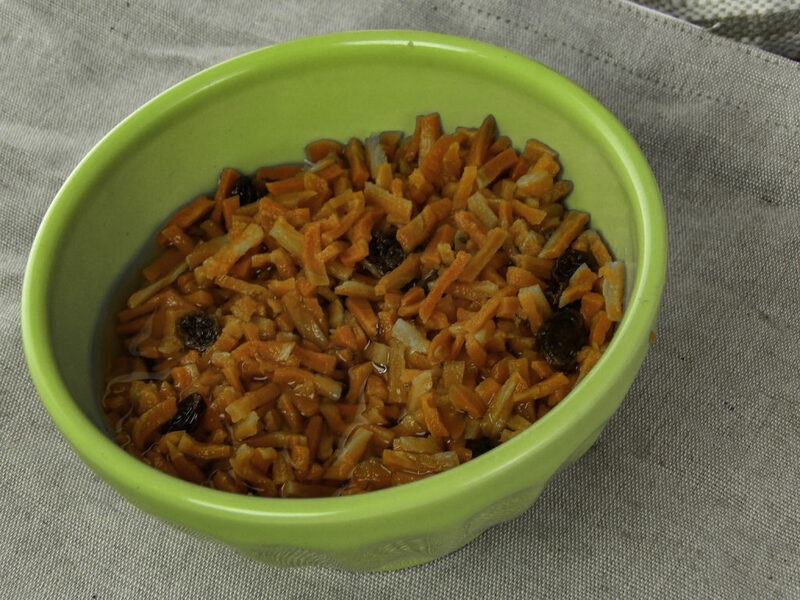 ABOUT THE RECIPE: This Gluten-free Carrot Cake recipe met the needs of our dairy-free and our gluten-free guests, and also incorporated our preference to use our organic farm fresh carrots. Here is a picture of the dessert prep stage. 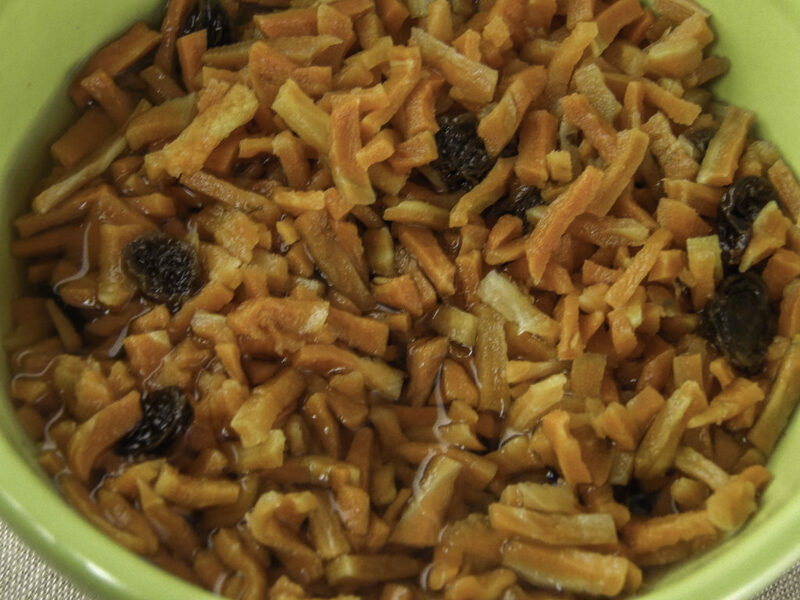 TIP: while preparing the rest of the recipe, soak the shredded organic carrots and raisins in a bit of water with the cinnamon, ginger, nutmeg to impart extra flavor and make the cupcake inclusions extra moist. My guests and I all found Selectivor to be easy to use and fun. It was so much easier for me to plan a menu and it introduced me to ideas that never occurred to me. There are foods I would have thought were not to be given to those with gluten allergies, but it turns out they are actually gluten-free foods that everyone can enjoy. Guests with restricted diets do not have to worry that they are an imposition or being rude to make their food restrictions known, they can do so politely and discretely, and they don’t have to worry that they may inadvertently eat something they cannot or should not. One guest, Gemma, found the idea of using Selectivor to be such a relief because she has so many food allergies that she is often reluctant to eat at restaurants or go over someone’s house for dinner because she feels like an imposition and she hates making someone feel bad by refusing a food she is allergic too, especially with misunderstood allergies like gluten. A few times well-meaning friends and family have served Gemma something they thought was gluten-free but it wasn’t. She also has been burned a few times by the “secret ingredient” in a family recipe being nuts or shellfish and has eaten something and not known until it was too late! But Selectivor is a great tool for highly food restricted guests or those who choose to adhere to certain dietary choices. Do you have serious food allergies or restrictions like Gemma? Then don’t miss out or suffer in silence! Selectivor profiles can be shared with anyone you dine with. Selectivor is accurate (no well-meaning mistakes about what is and is not gluten-free for example) it’s convenient and you do not need to worry about the social awkwardness of declining food items. Invite friends, family or anyone else to your profile on Facebook. As a host, I found it so much easier to use a tool like Selectivor instead of manually researching through my recipes trying to find something everyone could have and like. It gave me ideas I would not have thought of and saved a great deal of time worrying about finding common foods for everyone. This gave me time to focus on what we could do instead of what we couldn’t, so I could prepare enough in advance to be able to spend the most time with my guests. Selectivor allows you to create and manage profiles for loved ones who can’t or won’t create a profile, such as children or elderly relatives. This way, as a host, you are alerted to food restrictions you might otherwise forget, such as low salt or peanut allergies. TIP: Do you have a secret ingredient in a family recipe you don’t wish to divulge but don’t want to accidentally trigger a food allergy? As long as you strictly adhere to Selectivor’s common food list when serving your guests, it’s okay to keep your family secret recipe a secret. I also got to try food I would not have even thought of! For example, dairy-free doesn’t necessarily mean no cheese whatsoever, but perhaps ask dairy-free guests about trying a coconut milk cheese instead. An easy and fun way to plan a meal for friends with various allergies, health conditions, and picky eaters with food preferences, sign up for Selectivor at Selectivor.com or download the app and begin the fun process of putting together a meal everyone can enjoy! We had a blast planning our meal this weekend! Find Selectivor online at https://www.selectivor.com or download the Selectivor app from the App Store and Google Play. It’s free and fun! Who doesn’t love a happy dinosaur? You can win a Selectivor T-Shirt or a four pack set of eco-friendly cork Selectivor logo coasters bearing the Selectivor dino for your very own! To enter, just comment below with a recipe you came up with thanks to Selectivor. Winners will be notified by December 15th. Style Chicks reviewed the Selectivor app in exchange for our unbiased review and received compensation for our time and effort. However, our experience with the product and the opinions expressed in this review are 100% ours.